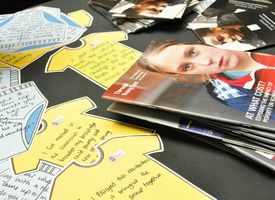 Project | Our Life. 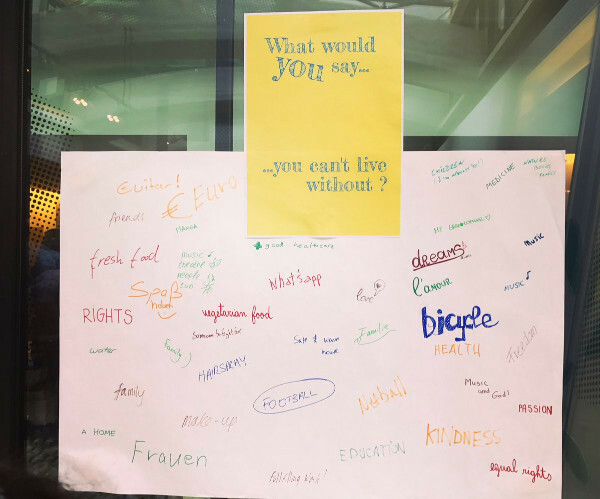 Our Voice. 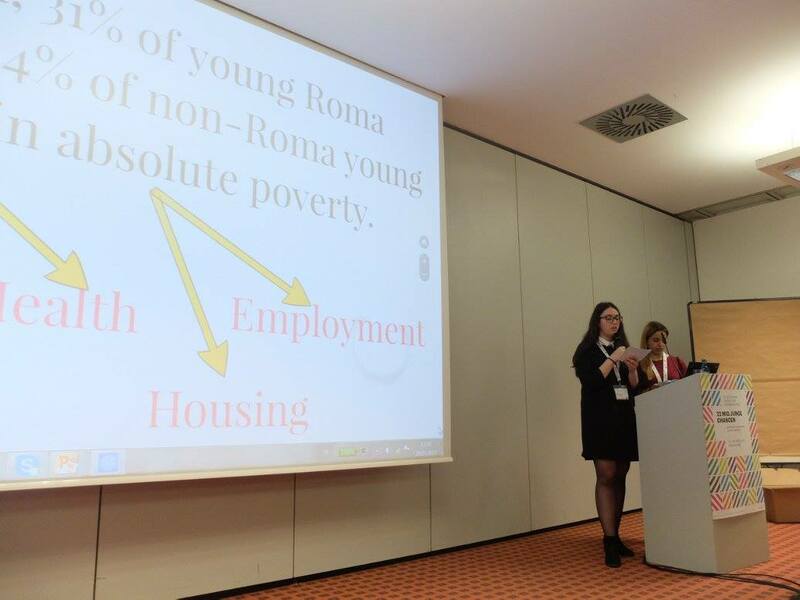 Young people and poverty. 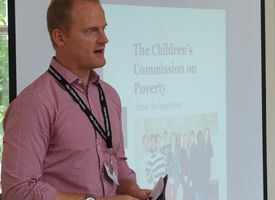 This strategic partnership builds on a model established by the Children’s Society, the partner from the UK. 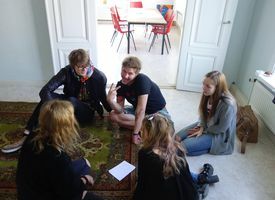 The aim is to set up a group, so-called panel, of young people investigating into poverty in each of the 5 countries. 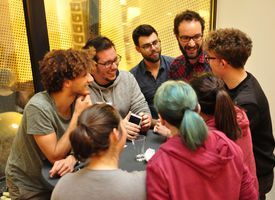 These groups of max. 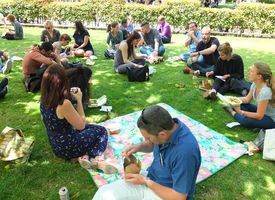 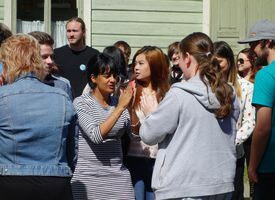 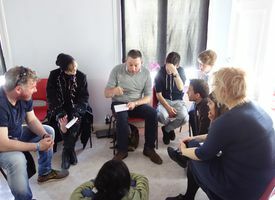 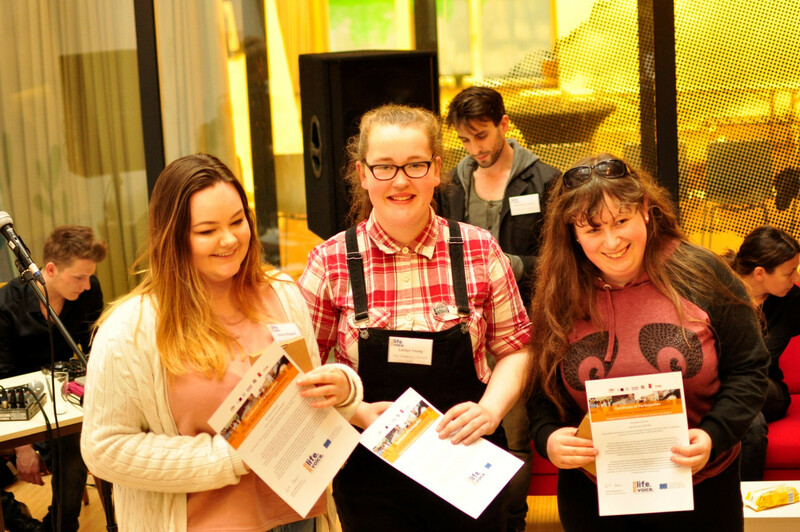 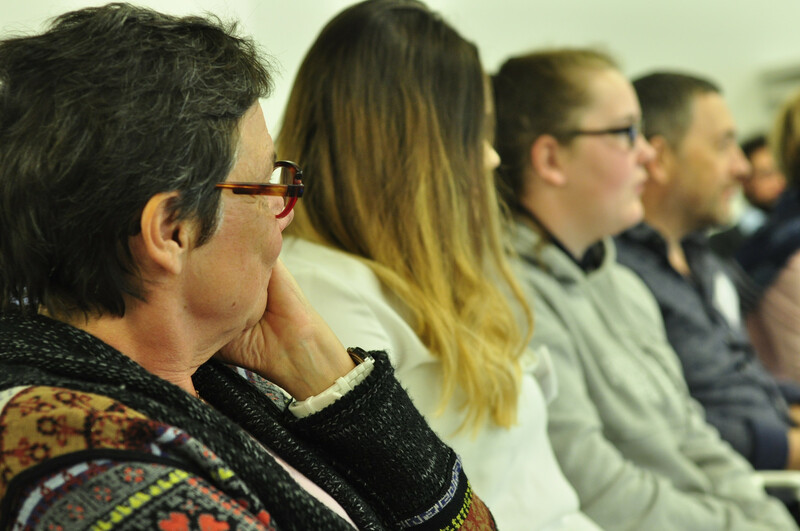 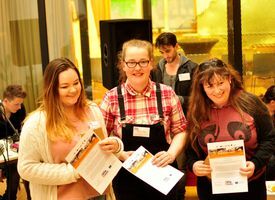 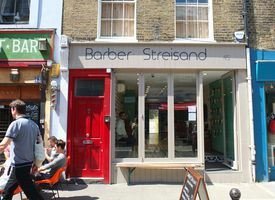 12 young people will be accompanied by youth workers applying interactive and participatory methods to get an insight into the experience of young people in poverty. 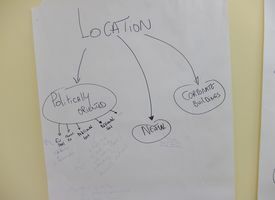 The young people will create discussions on different perceptions of poverty and as a result formulate their recommendations against poverty and what real and true support should look like. 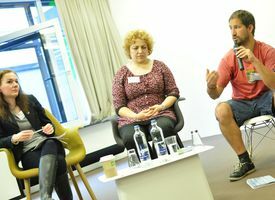 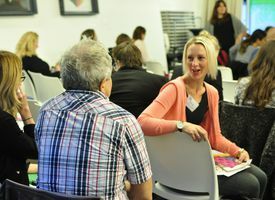 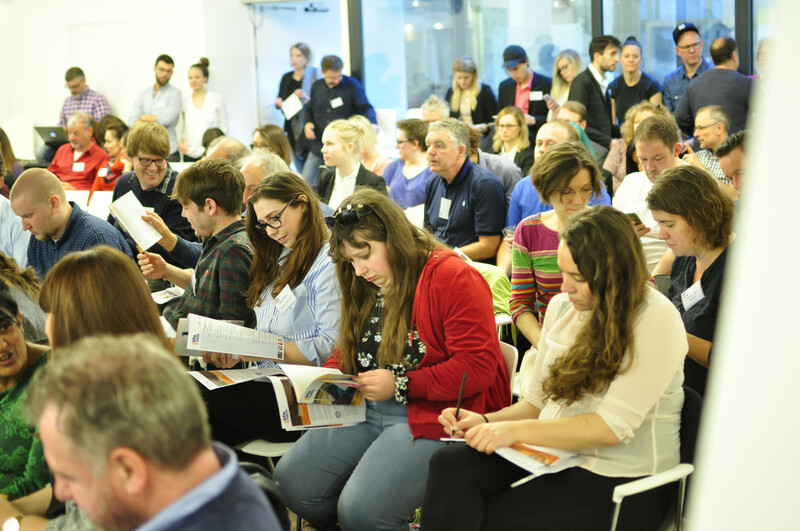 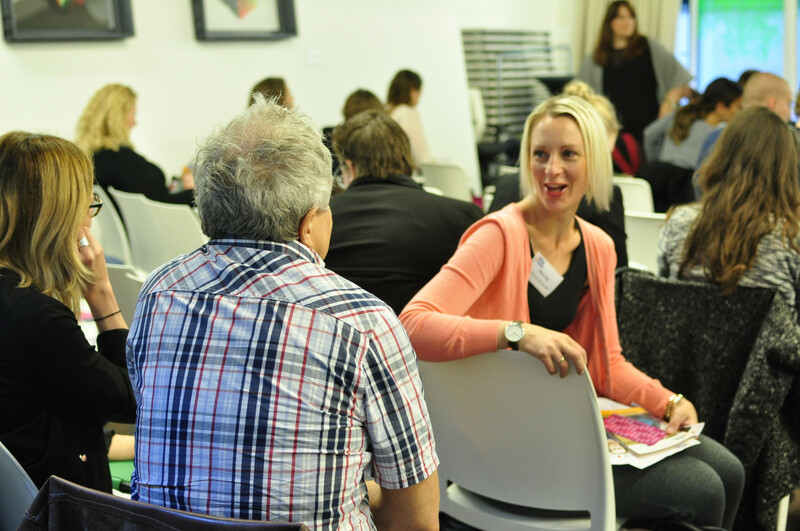 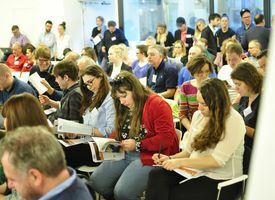 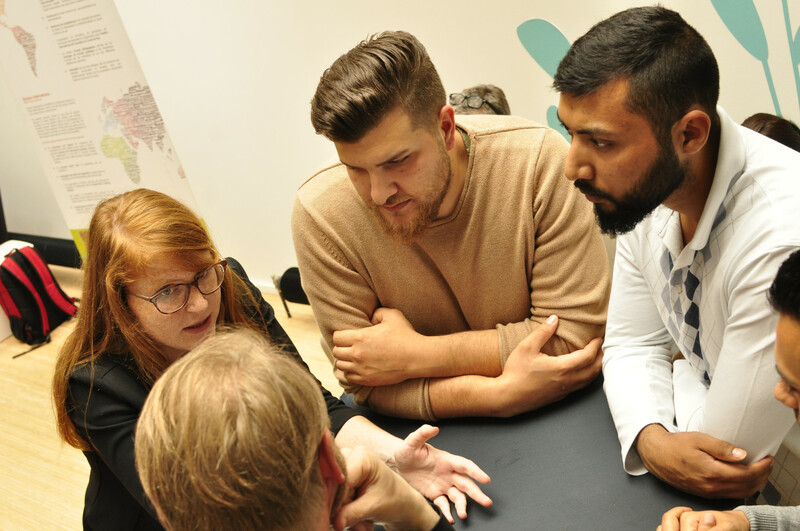 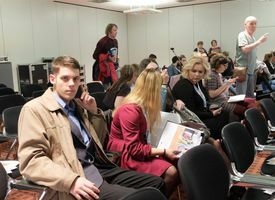 At regional and national events they will meet youth organisations, service providers, local authorities, and policy makers to discuss their suggestions. 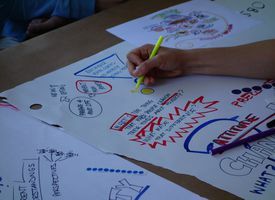 The methodology used for engaging those young people who might be hard to reach will be published in a tool-kit for practitioners. 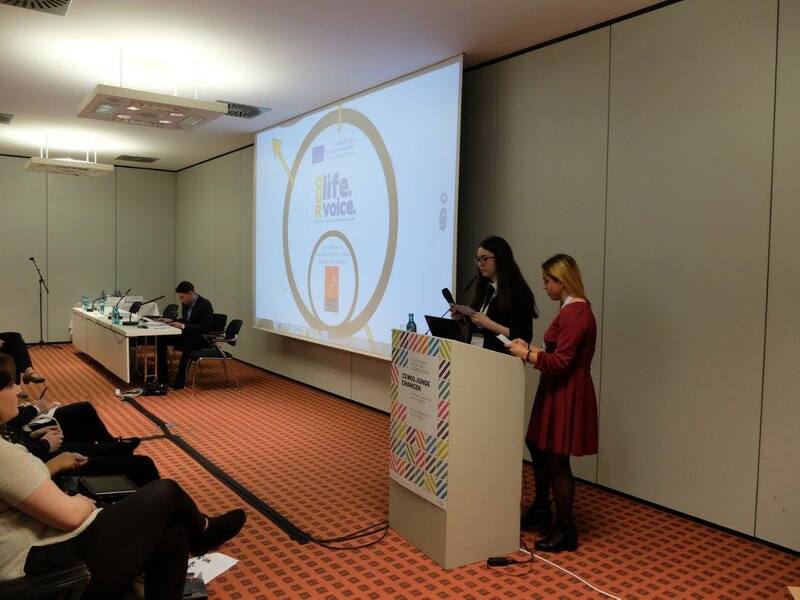 The “Our Life. 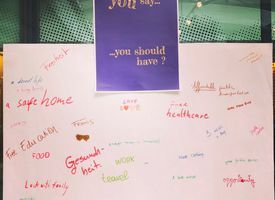 OurVoice . 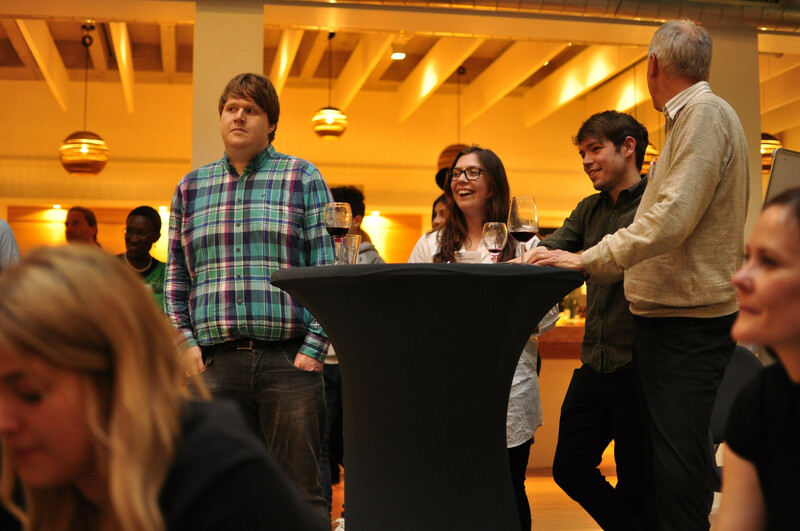 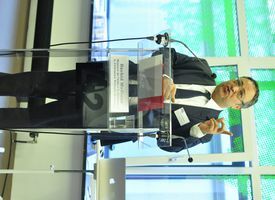 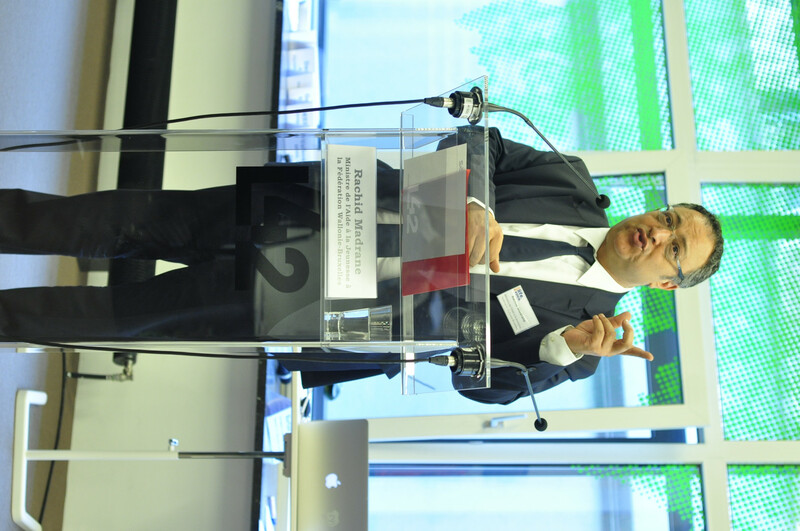 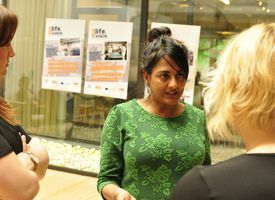 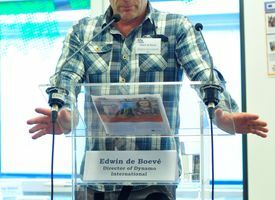 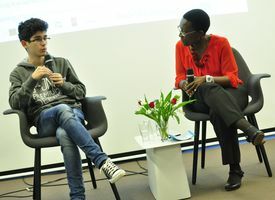 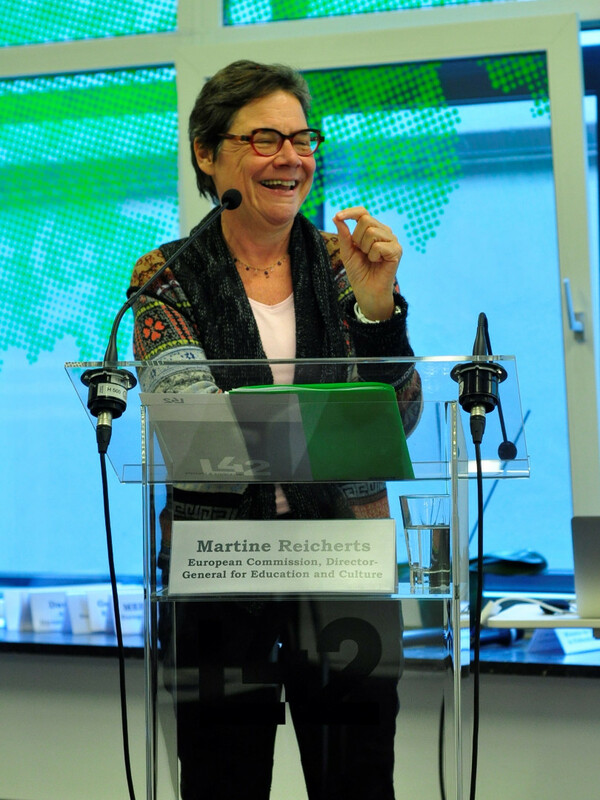 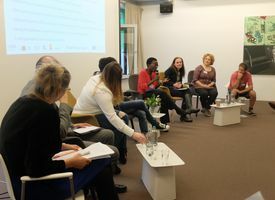 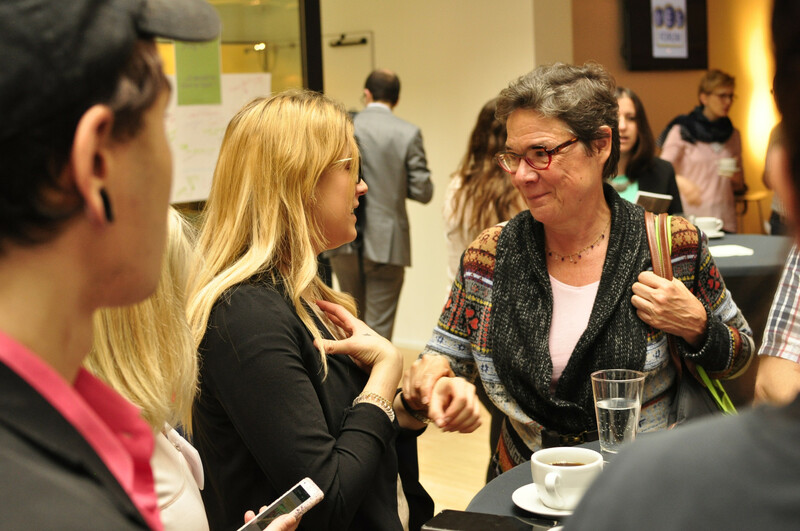 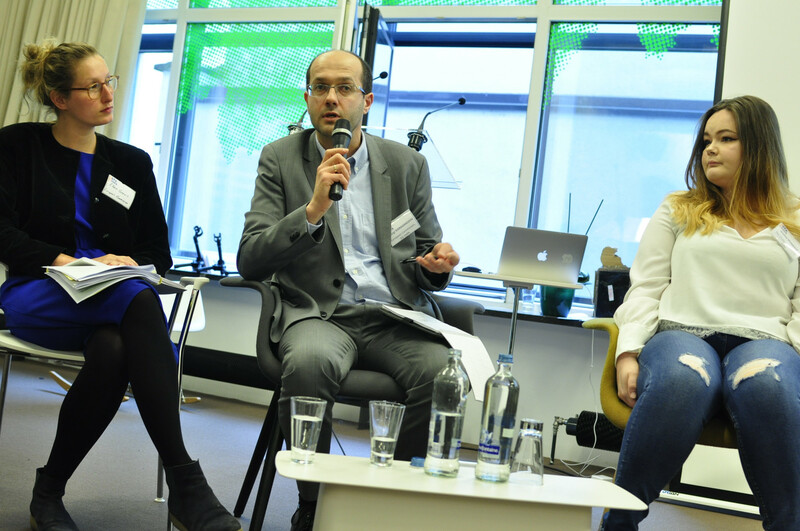 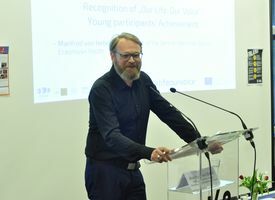 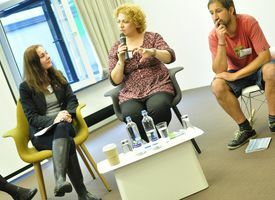 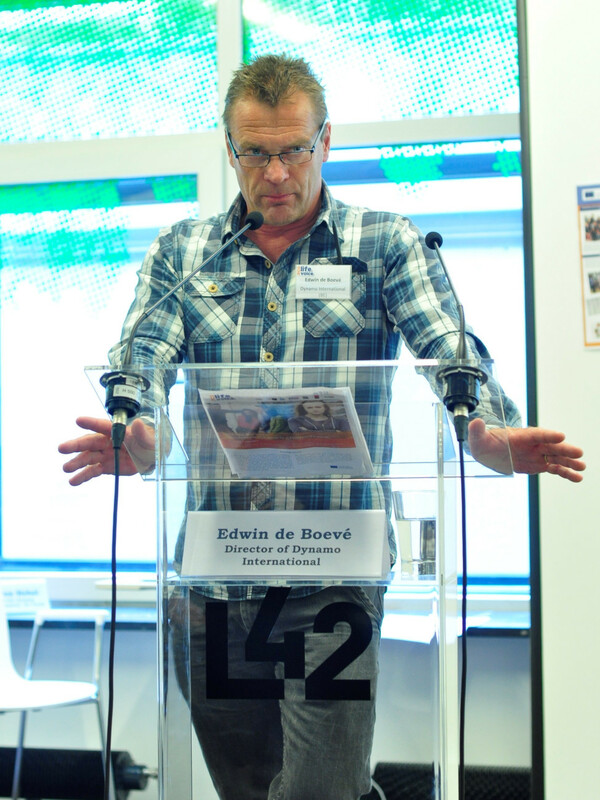 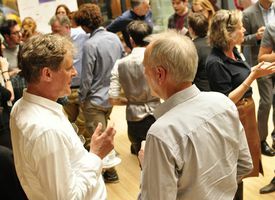 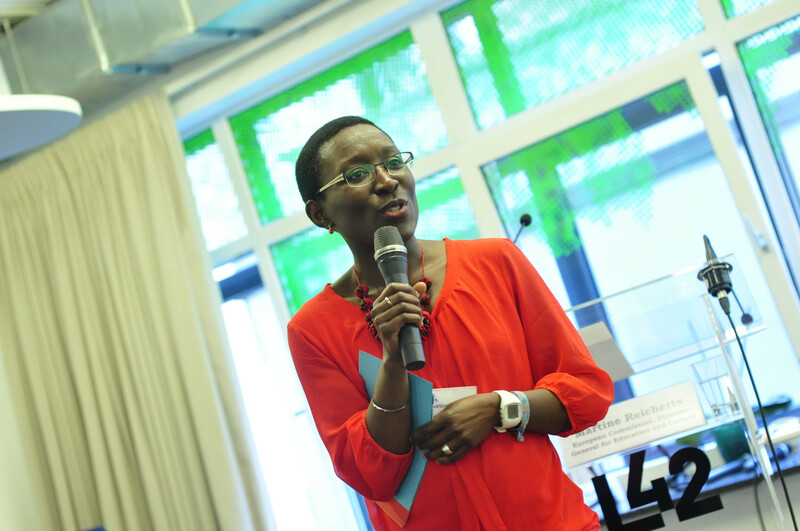 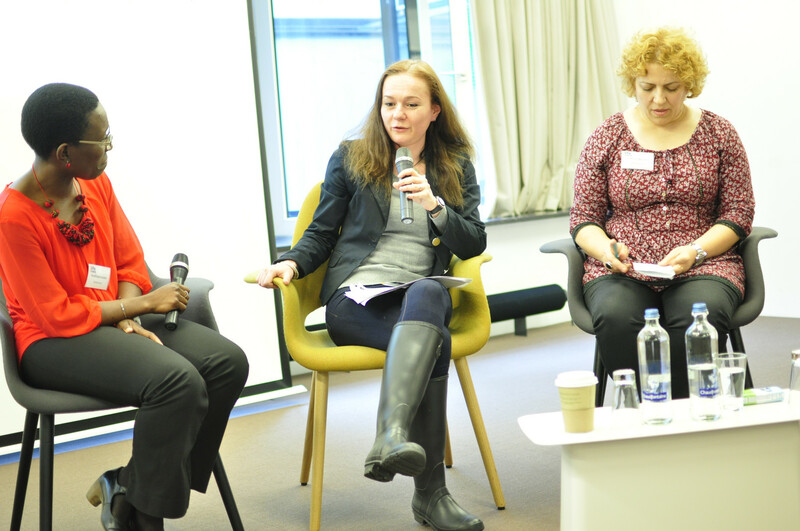 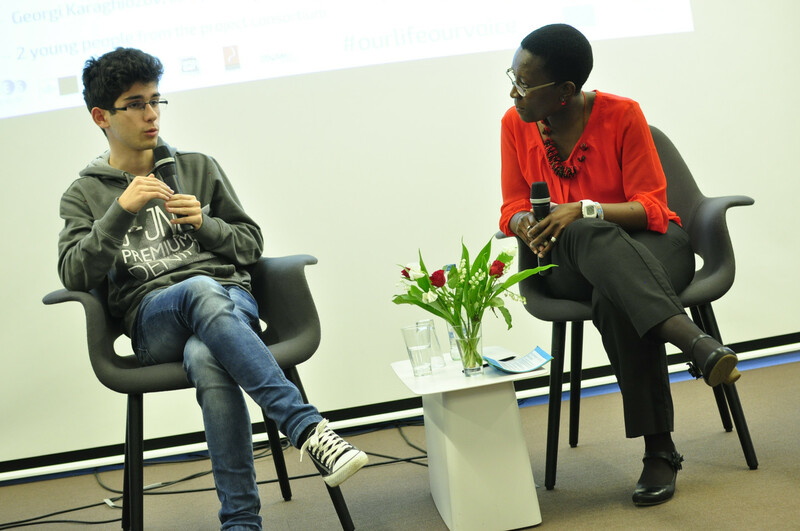 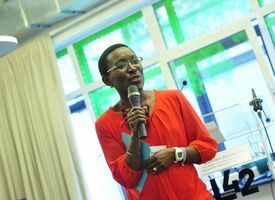 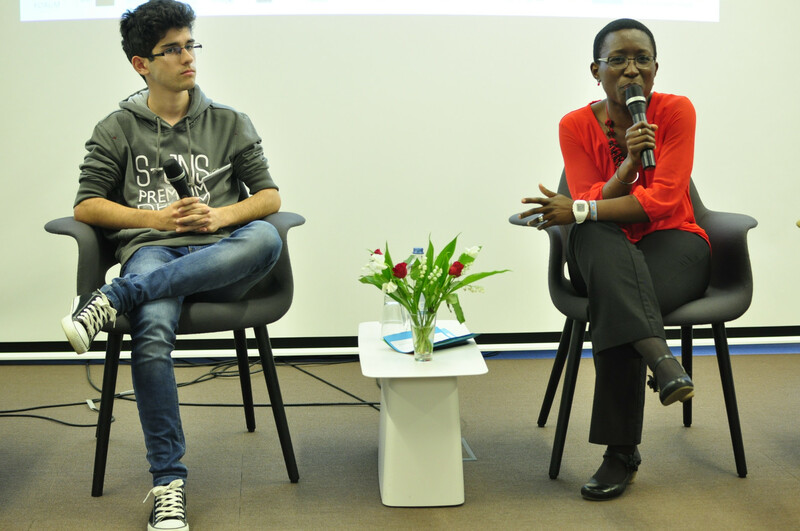 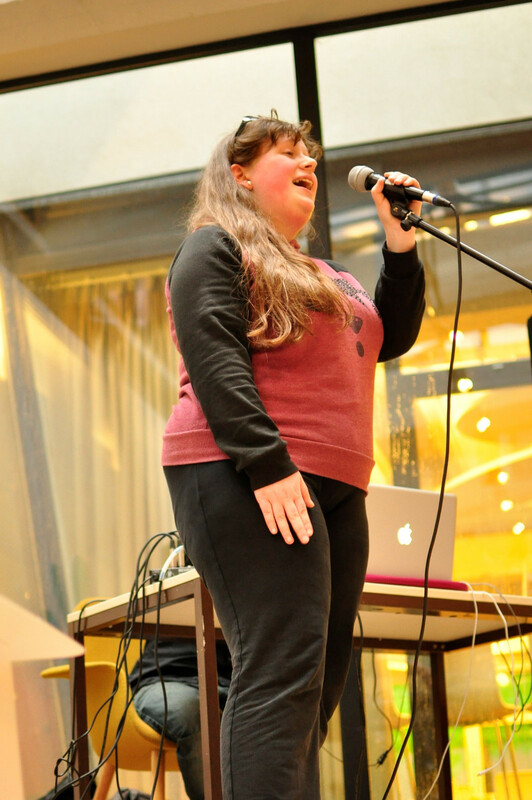 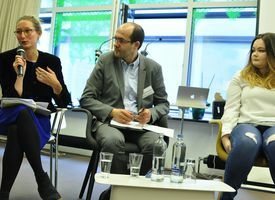 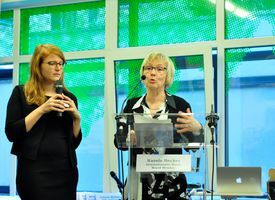 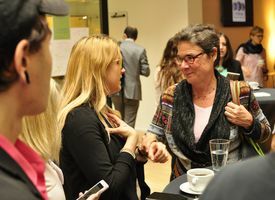 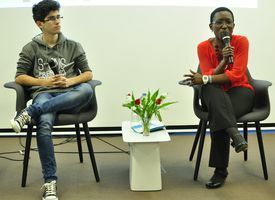 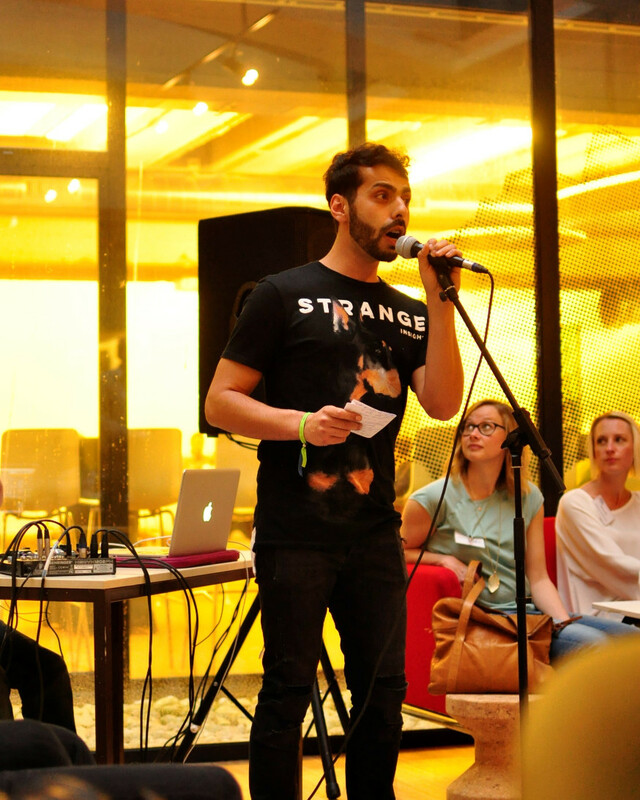 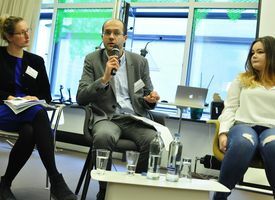 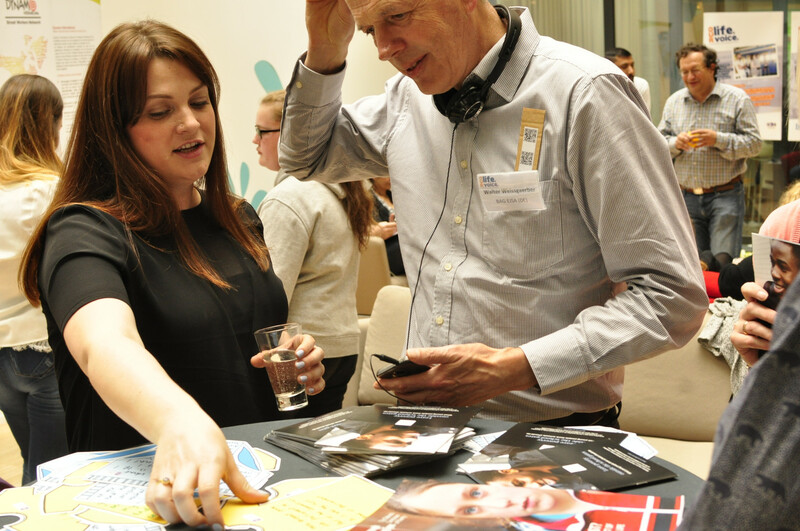 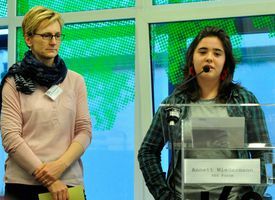 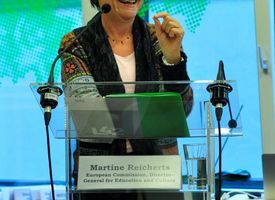 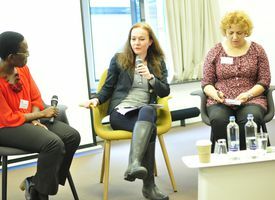 Young People and Poverty” project reached its climax on 4 May with its Final conference in Brussels. 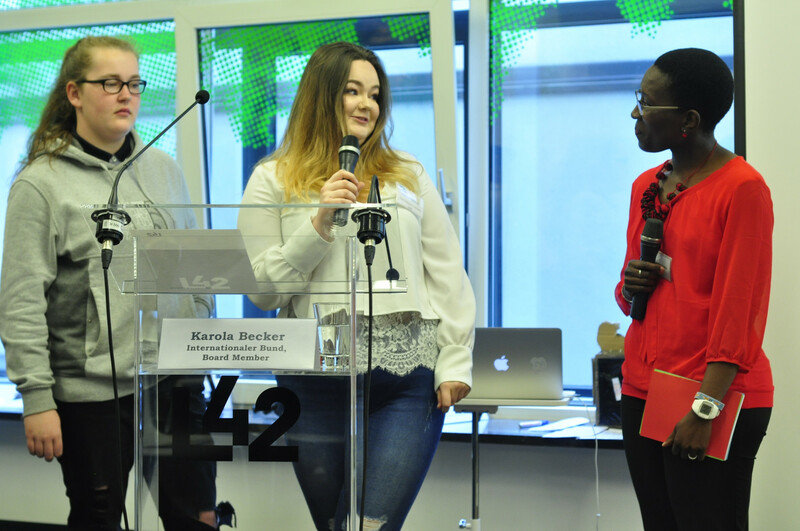 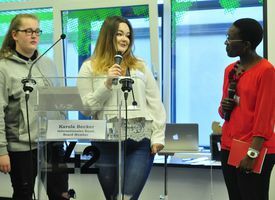 As we celebrated their involvement during this two-year Erasmus+ project, its young participants presented their work and results, highlighting the need to be more ambitious to tackle youth poverty across Europe. Many participants from the youth and social field, the civil society as a whole, as well as local, national and European public authorities discussed these results with the young participants with very encouraging outcomes! 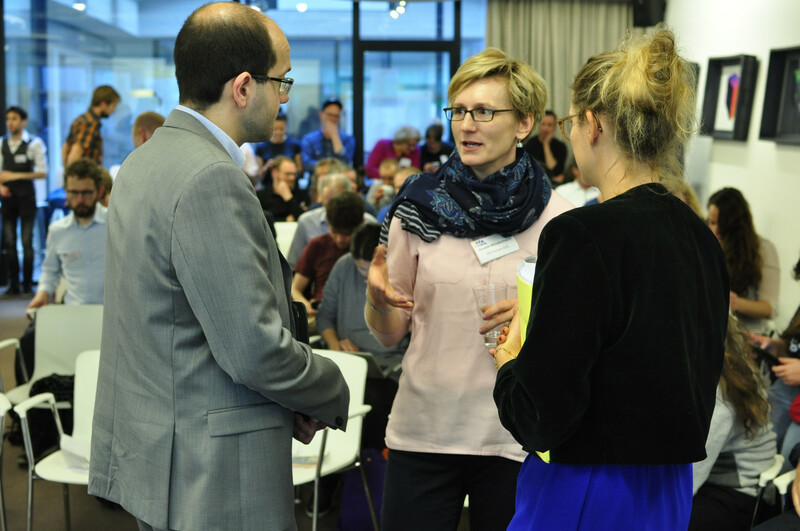 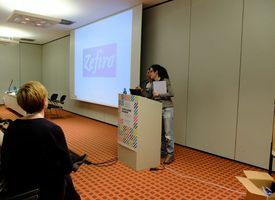 A full report on the Final conference will be published soon in the "Results" section! 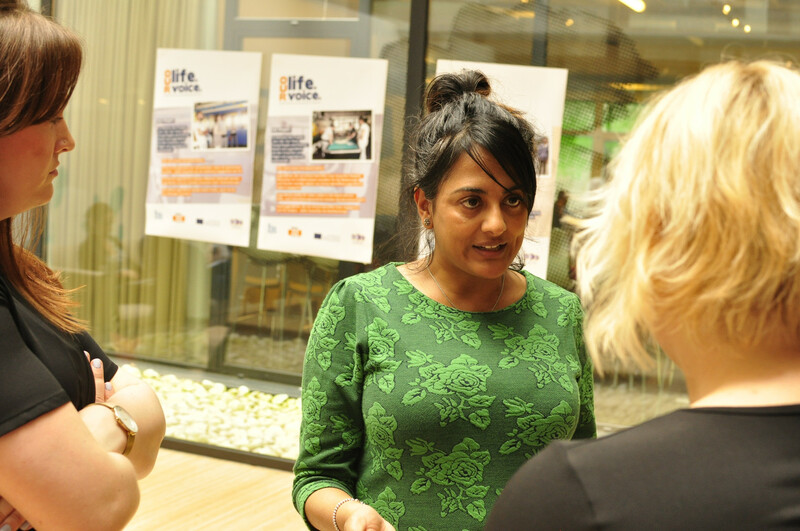 On 28-30 March, our young experts from the project "Our Life. 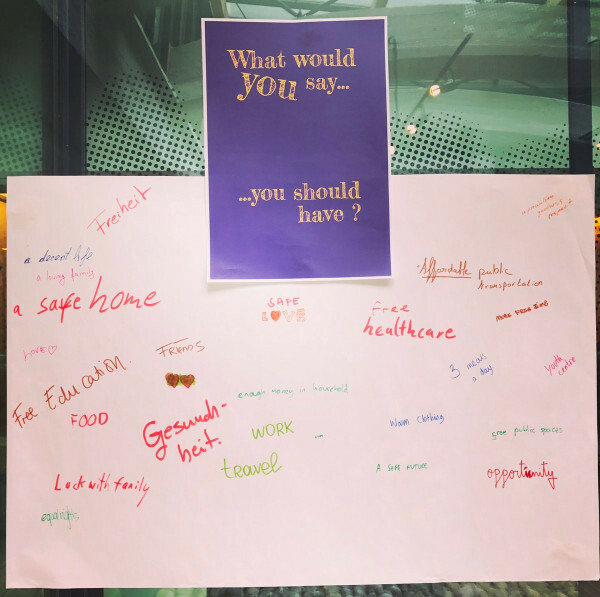 Our Voice. 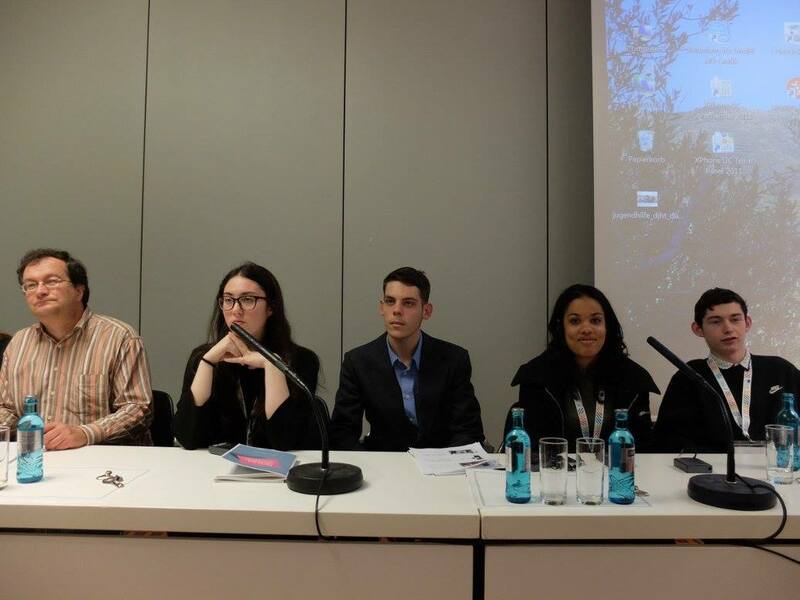 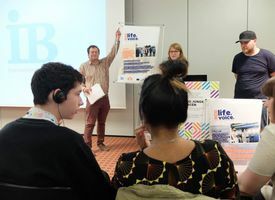 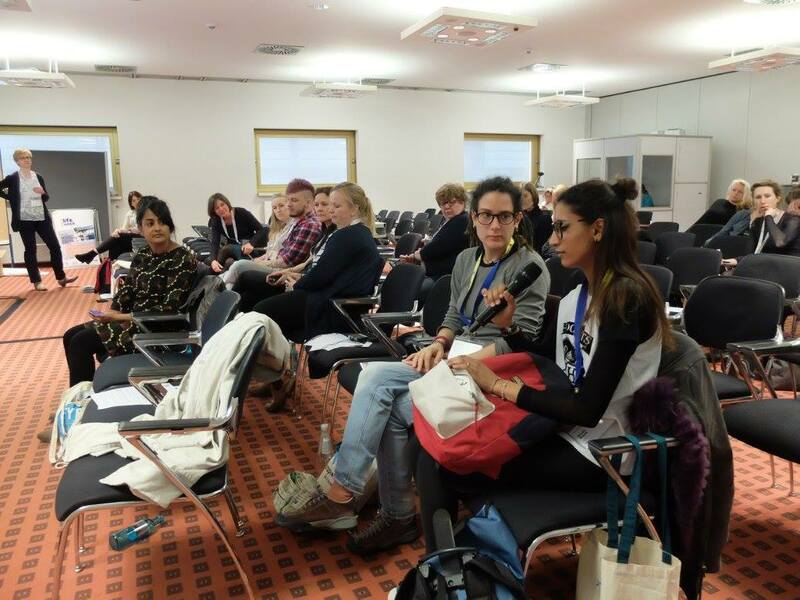 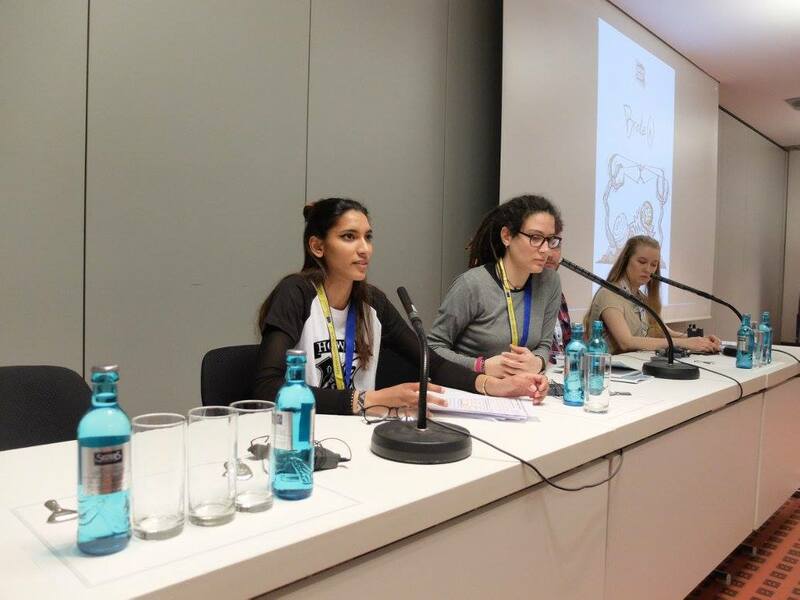 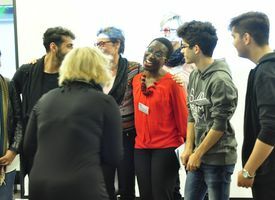 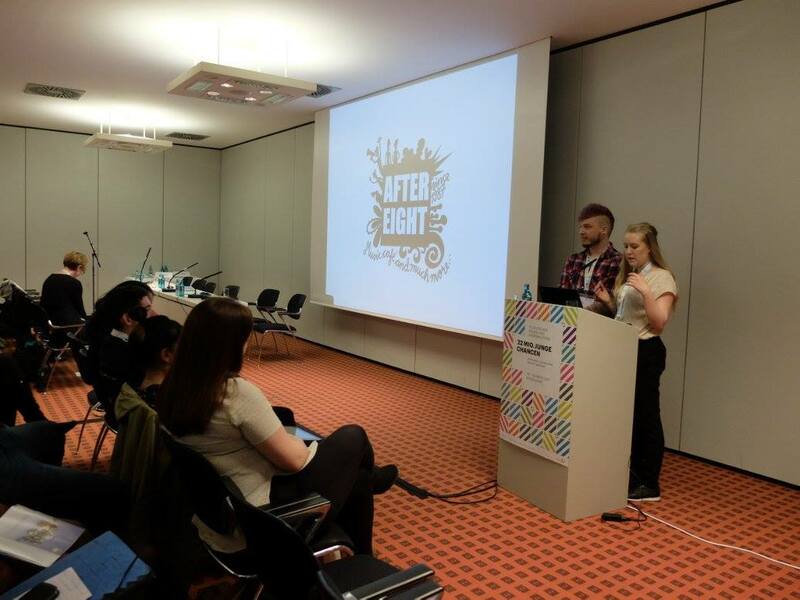 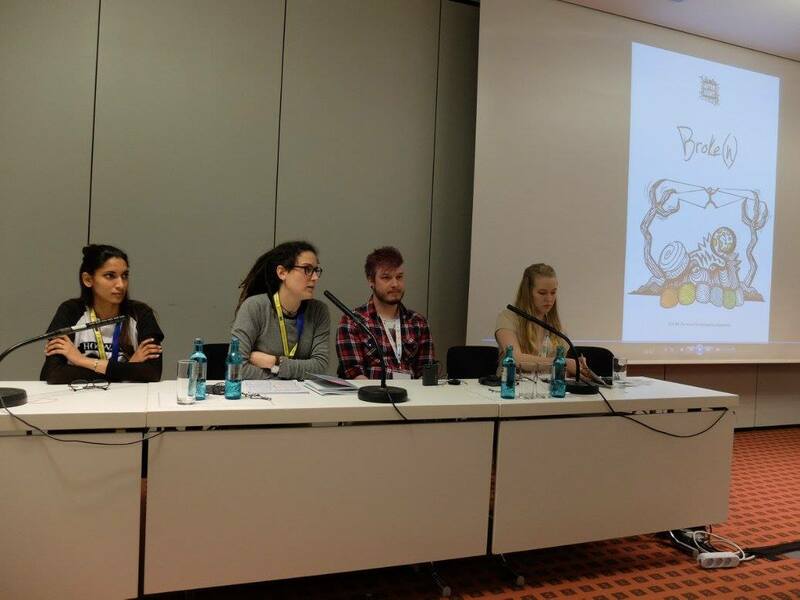 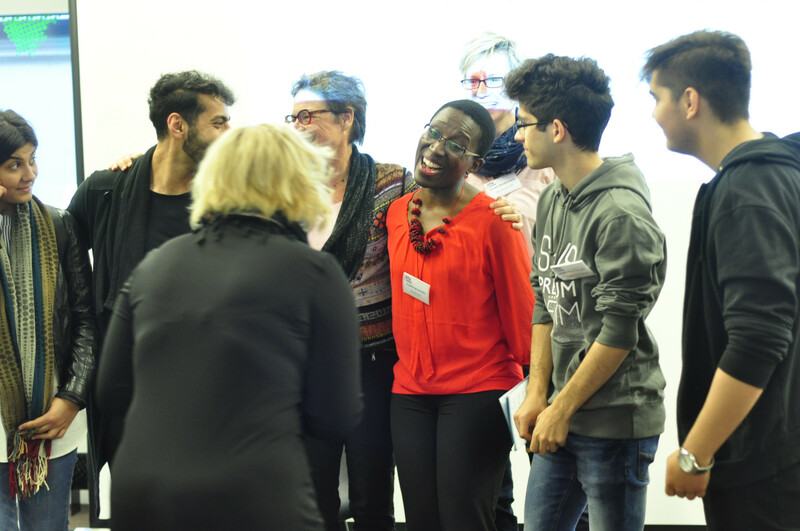 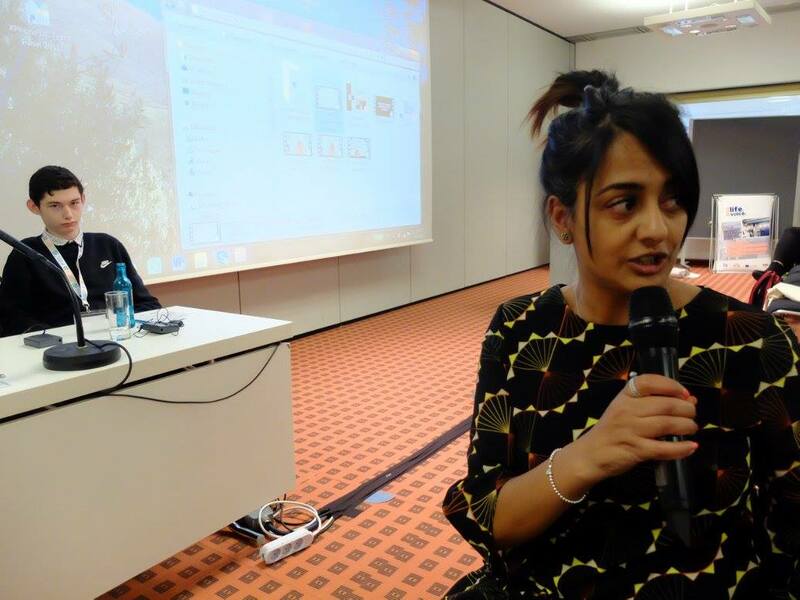 Young people and poverty" held their own workshop in the #DJHT2017 summit "Creating a Social and Fair Europe for all Young People" in Düsseldorf! 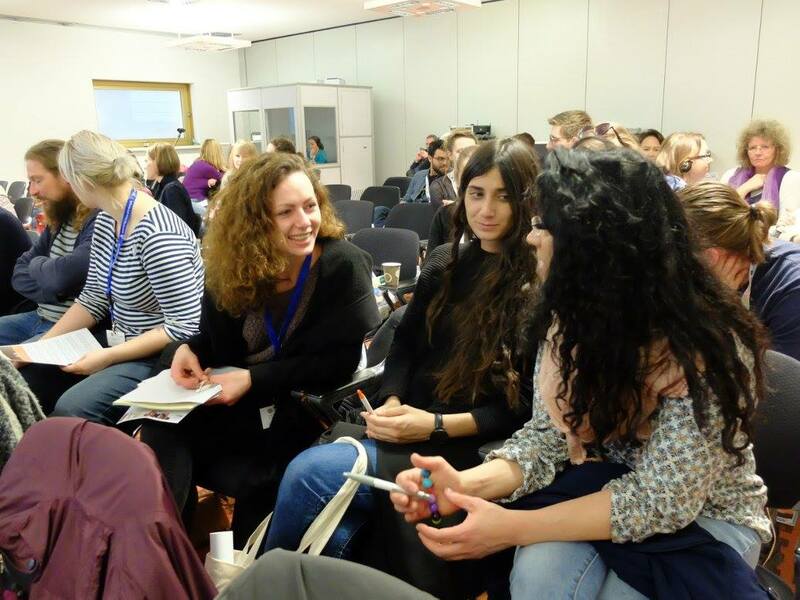 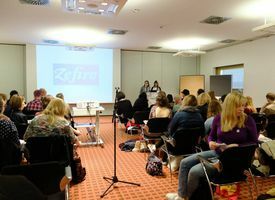 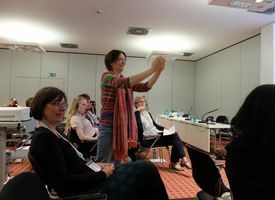 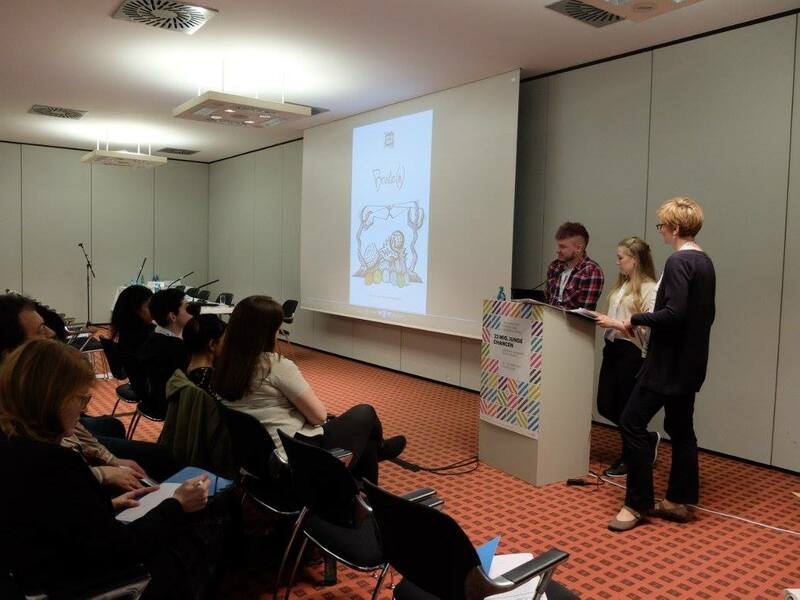 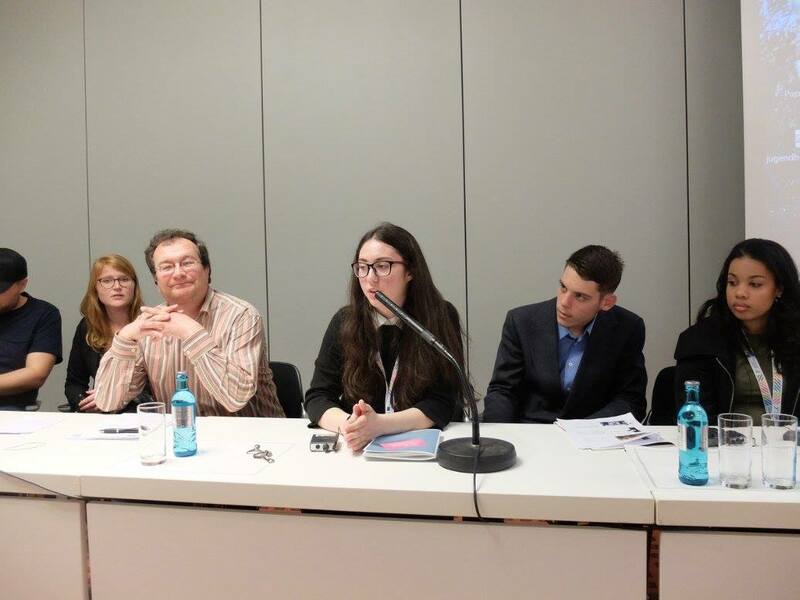 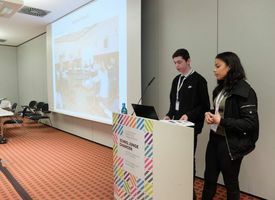 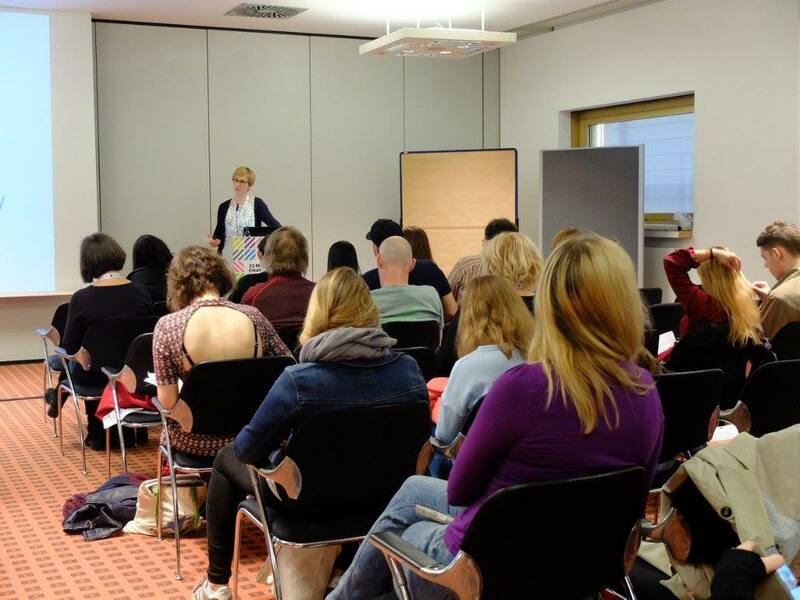 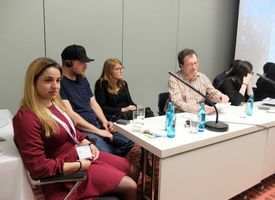 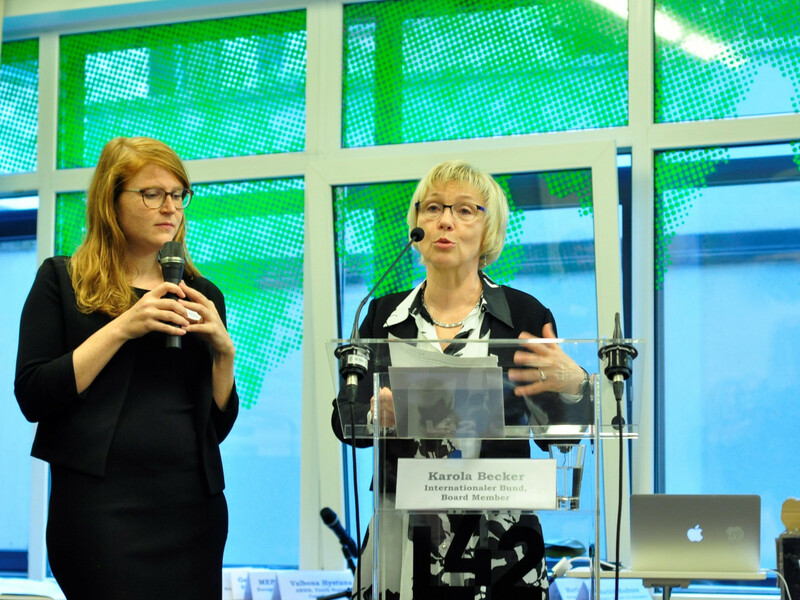 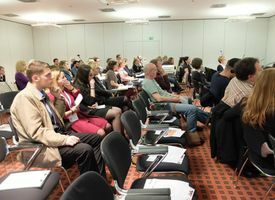 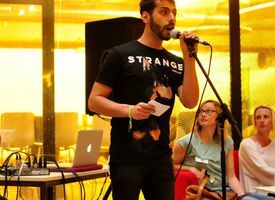 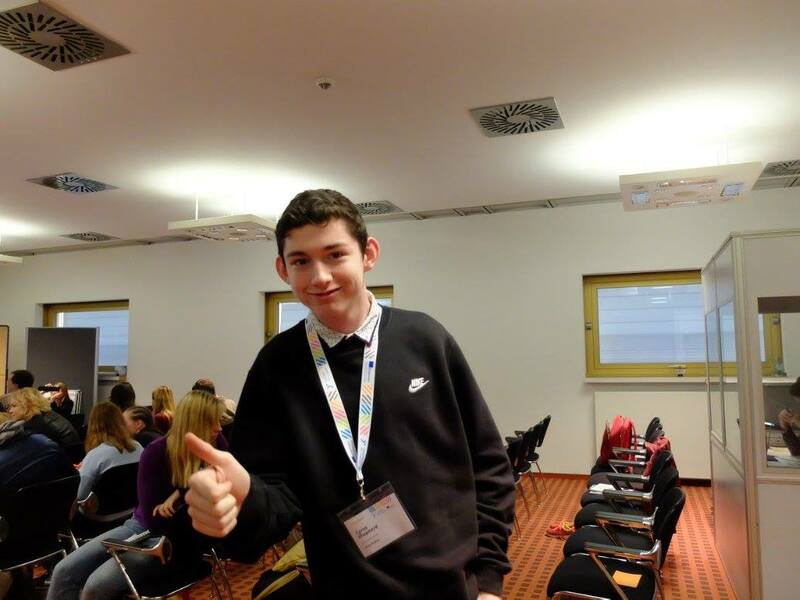 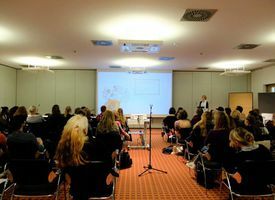 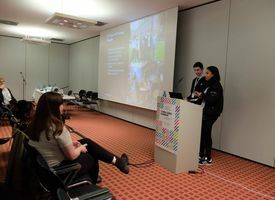 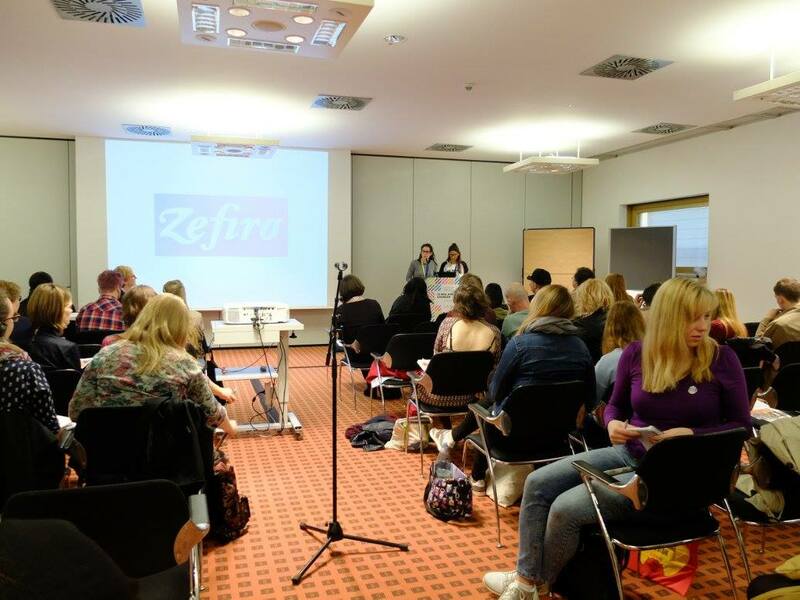 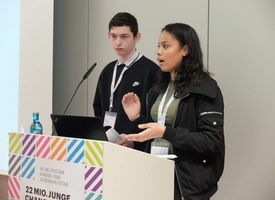 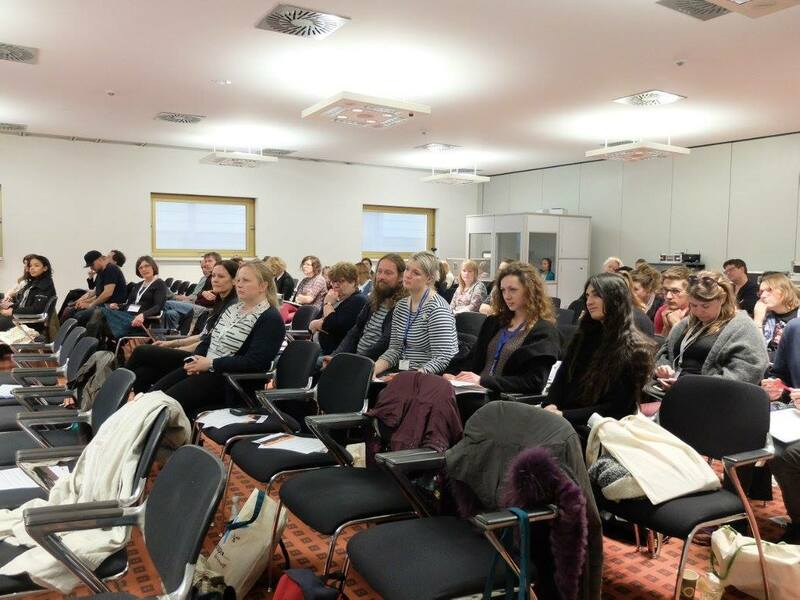 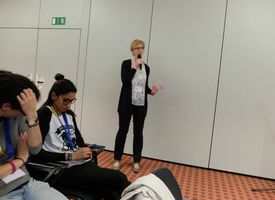 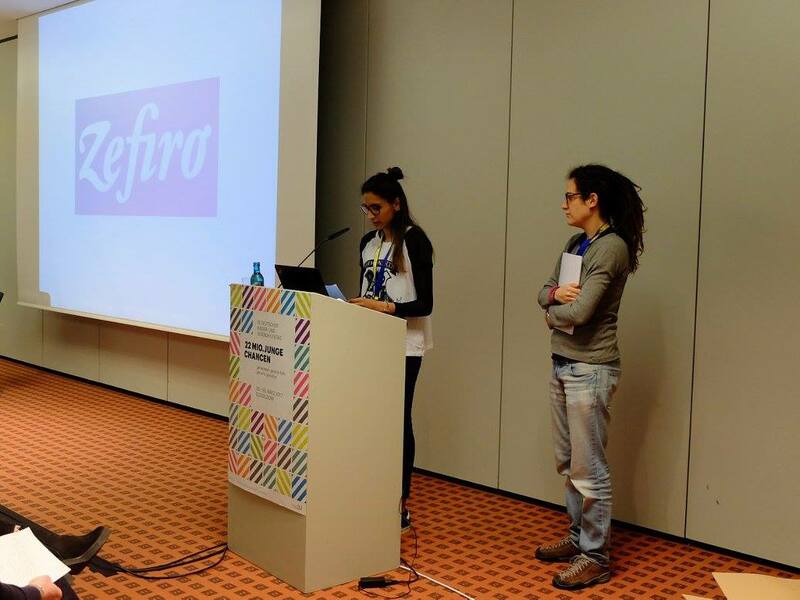 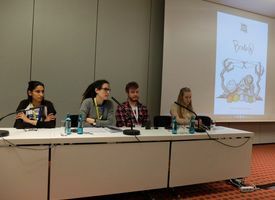 In front of a large audience, each group presented and discussed the initiatives they carried out in their home countries – Italy, Romania, Germany, the United-Kingdom and Finland – to investigate youth poverty and its effects, and contribute to tackle it with their own policy proposals. 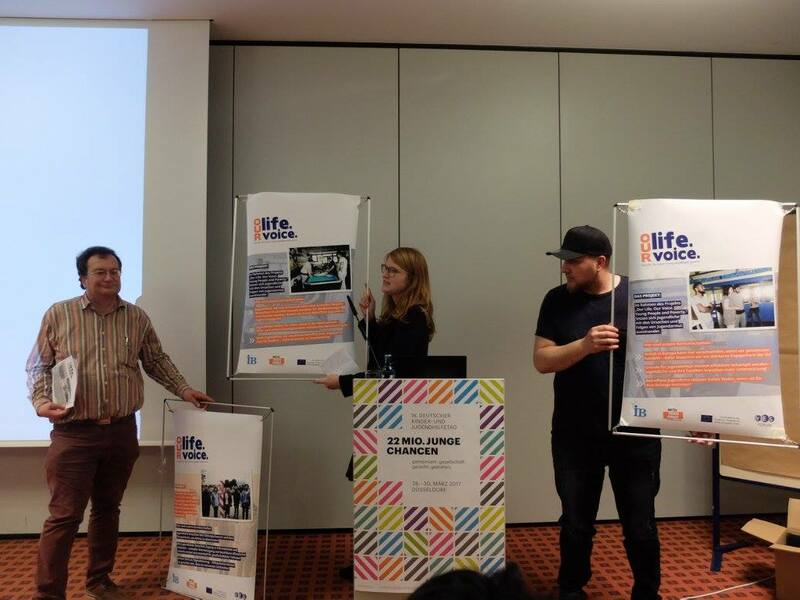 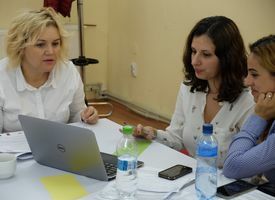 On October 26-27th, the `Our Life, Our Voice’ project partners met in Cluj Napoca, Romania, to review their progress and prepare the final events of the project. 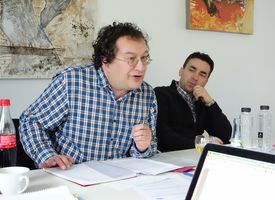 The partners first focused on the finalisation of Intellectual Outputs (IO) 1 and 2. 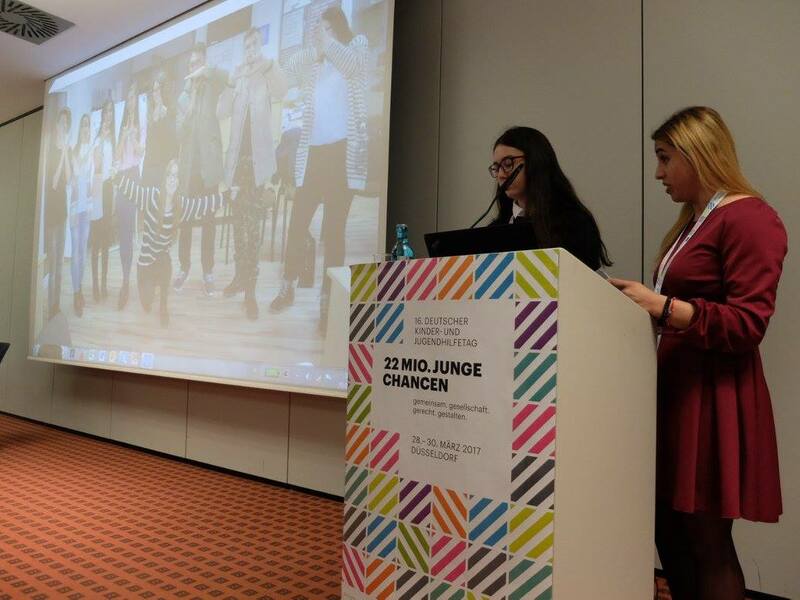 IO1 will present the results of the investigation into poverty carried out by young people themselves in from the UK, Romania, Italy, Finland and Germany. 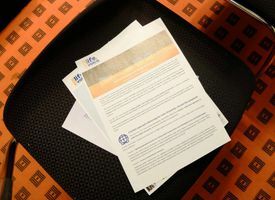 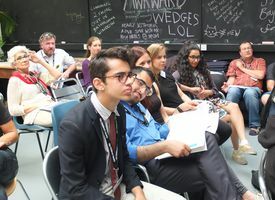 IO2 will go a step further, by formulating policy recommendations that will be shared at national and European levels to help politicians tackle youth poverty. 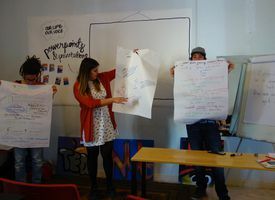 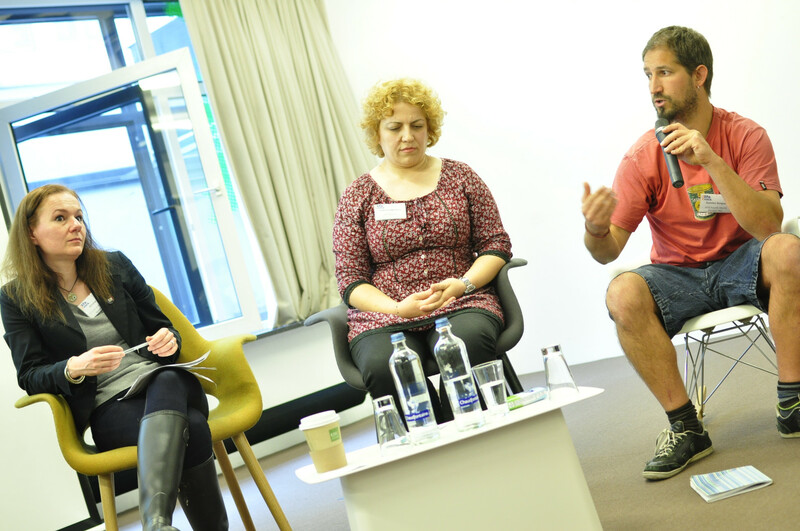 The participants also discussed the third IO: a toolkit for youth workers across Europe on how to engage young disadvantaged people. 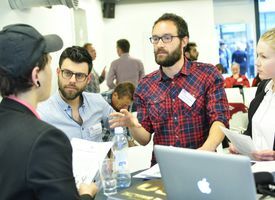 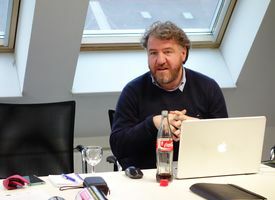 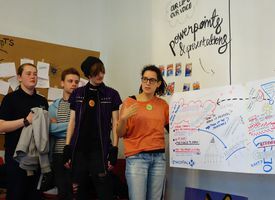 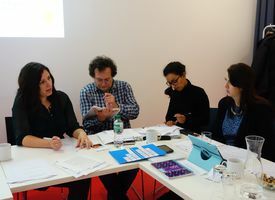 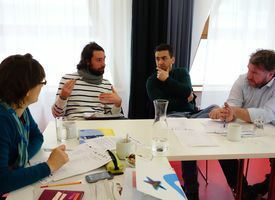 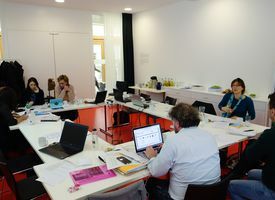 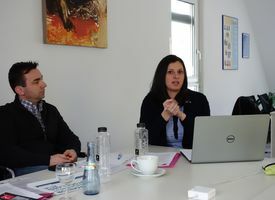 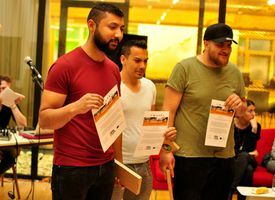 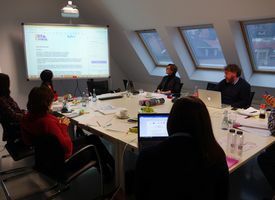 Together with the Brussels-based street workers’ network Dynamo International, project partners started planning the dissemination part of the project. 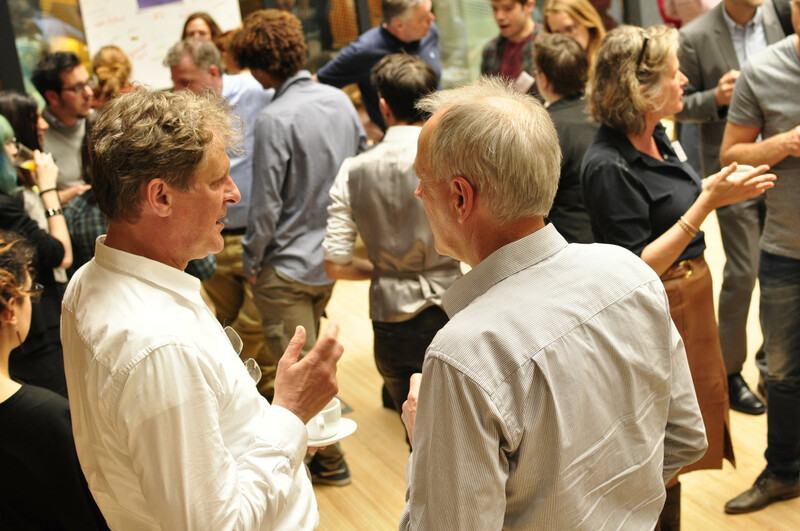 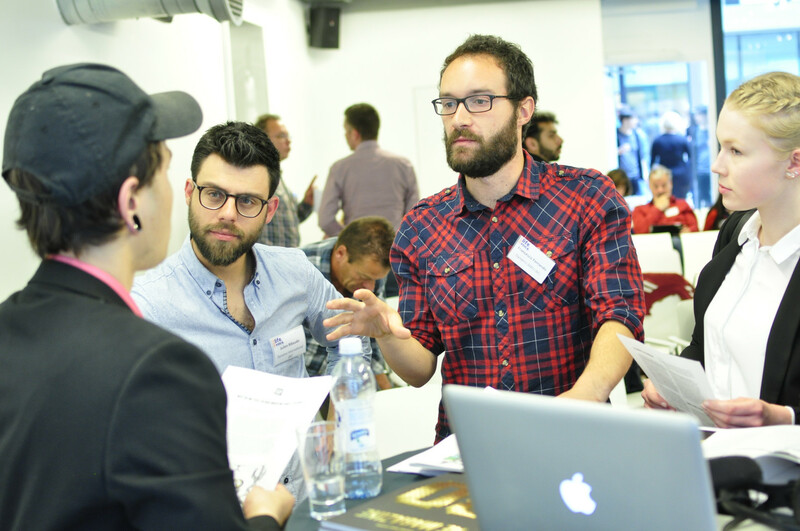 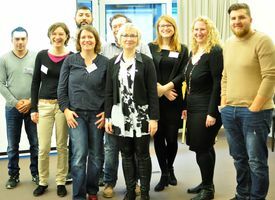 Each partner presented the events it plans to organise to share the project’s results at national scale. 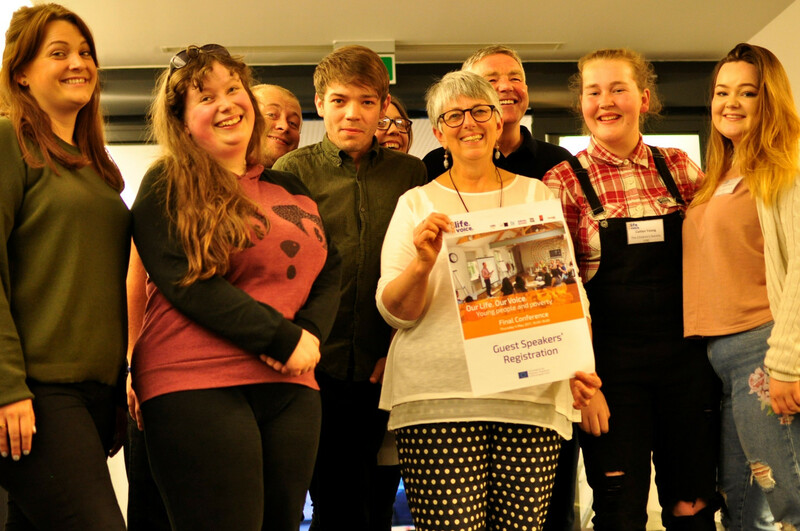 Together, the participants also designed the Final conference that will be organised in Brussels on 3-5 May 2017, focusing on how to make the event as interactive and inclusive for young people as possible. 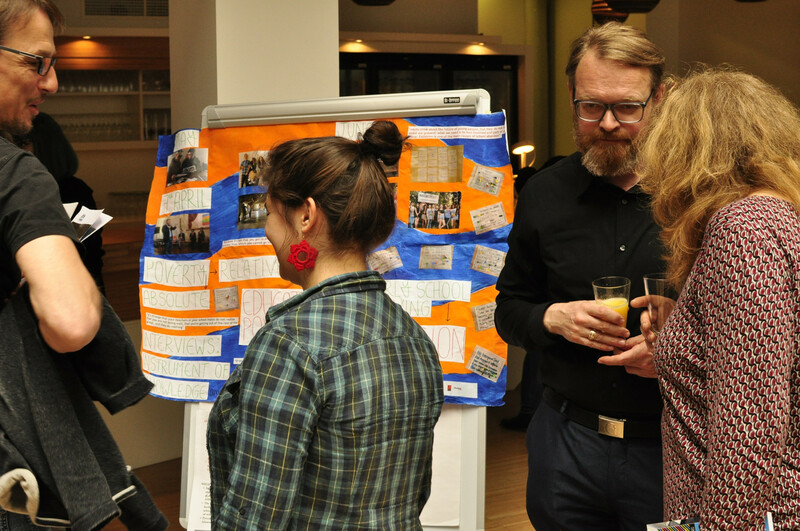 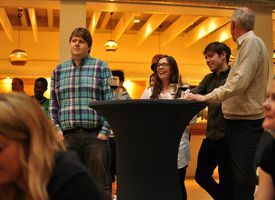 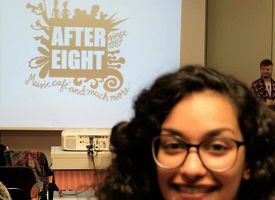 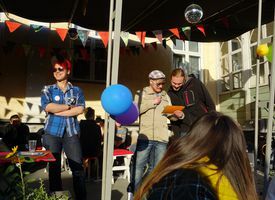 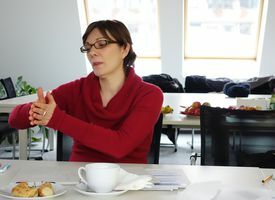 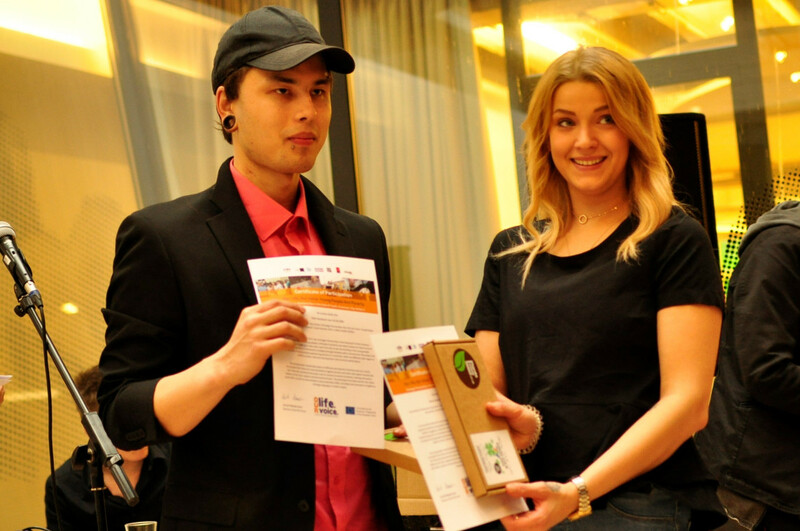 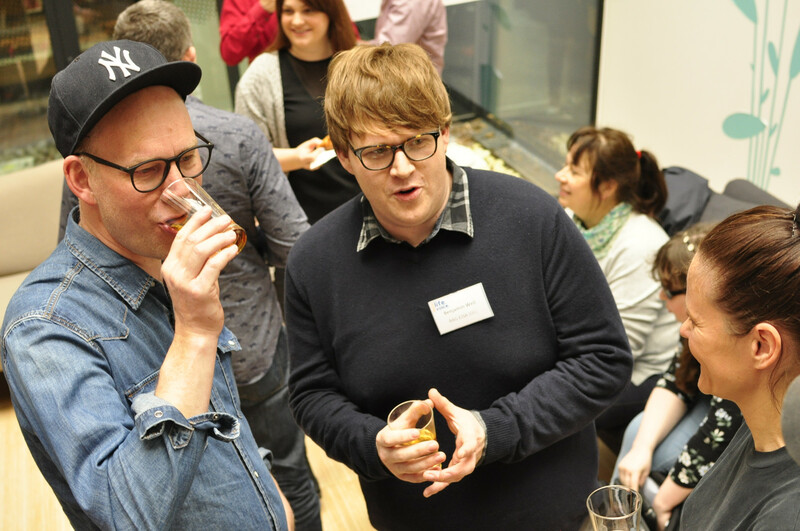 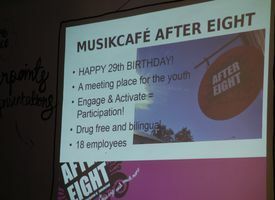 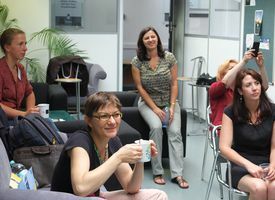 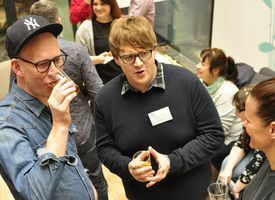 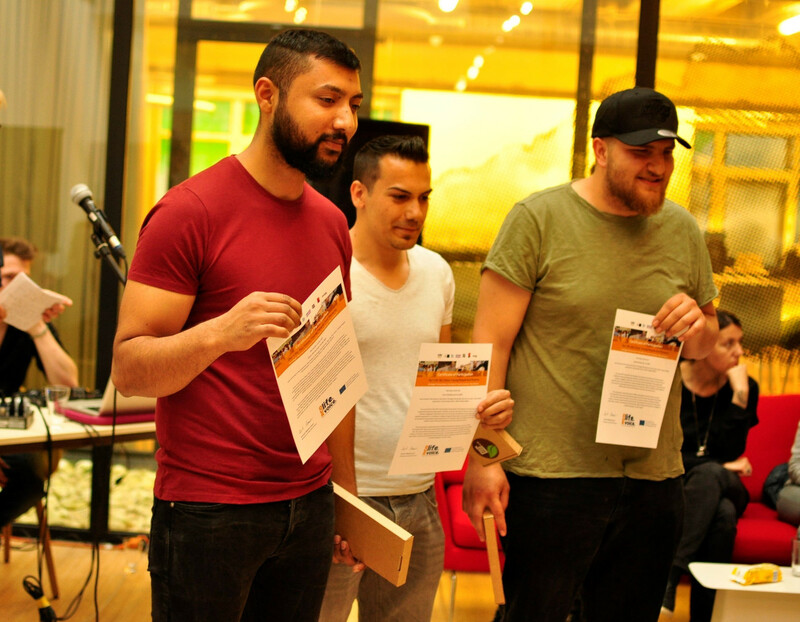 The Finnish partner, Music Café After Eight, hosted the 3rd partner meeting of the ‘Our life. 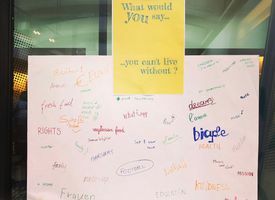 Our voice. 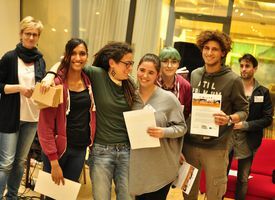 Young people and poverty’ project. 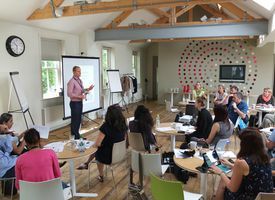 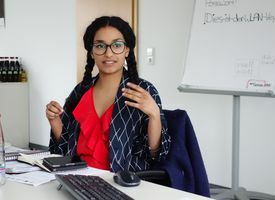 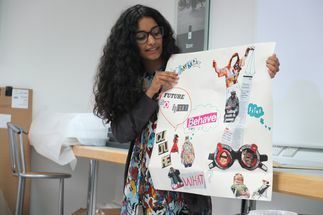 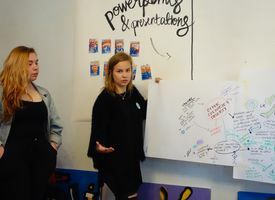 During the two-day meeting, 25 young people and their mentors from all the 5 project partners got to know each other, present the work they have done in the past year, and discuss the next steps of the project. 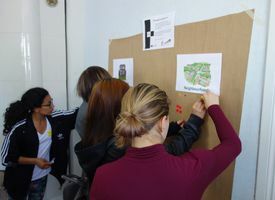 The first phase of the project, 'Investigation into poverty', came to an end. 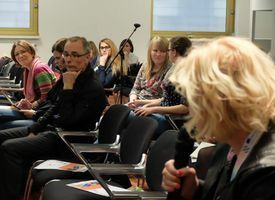 During the past year, the issue of youth poverty was explored by various means – consultations with young people, meetings and conferences with experts, scholars and politicians, on-site visits, and activities involving photography to let young people express their own views on this issue. 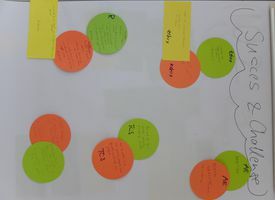 Each different working group is now focusing on one specific topic. 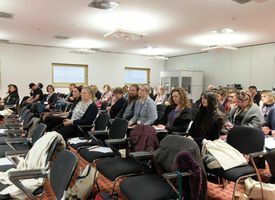 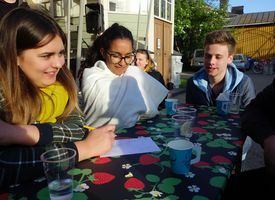 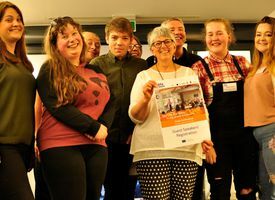 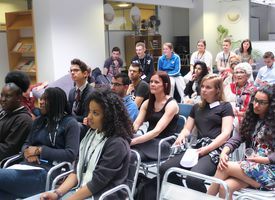 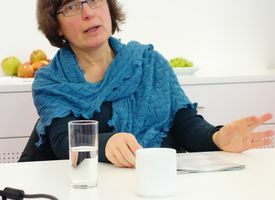 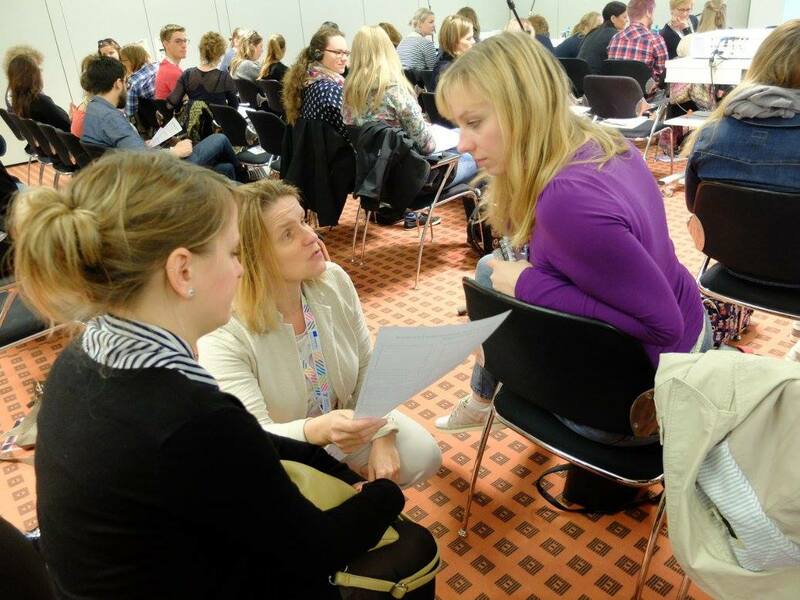 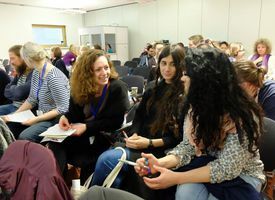 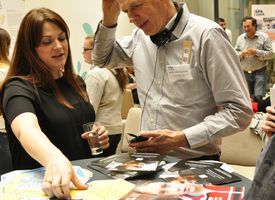 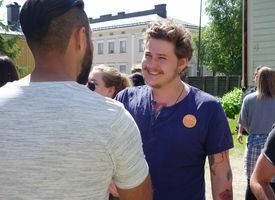 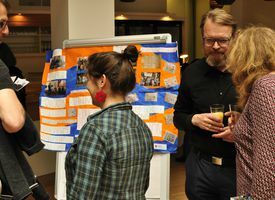 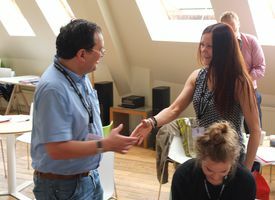 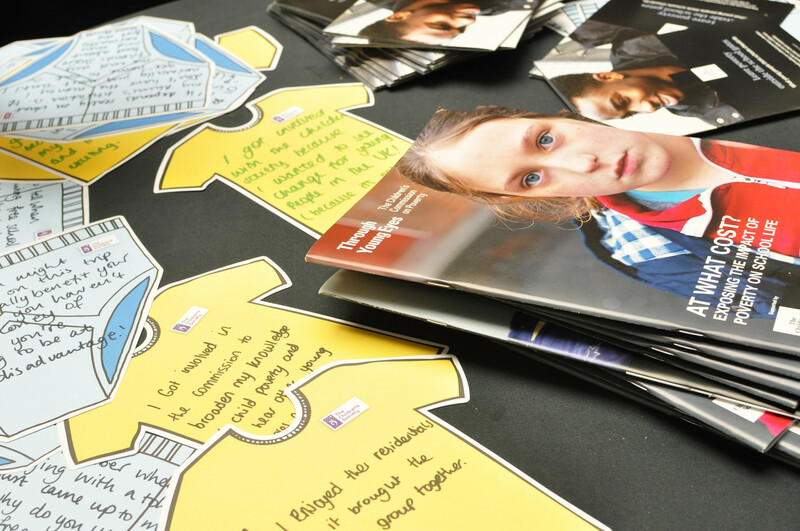 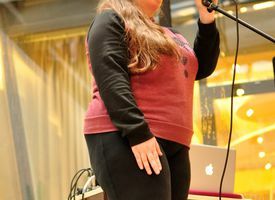 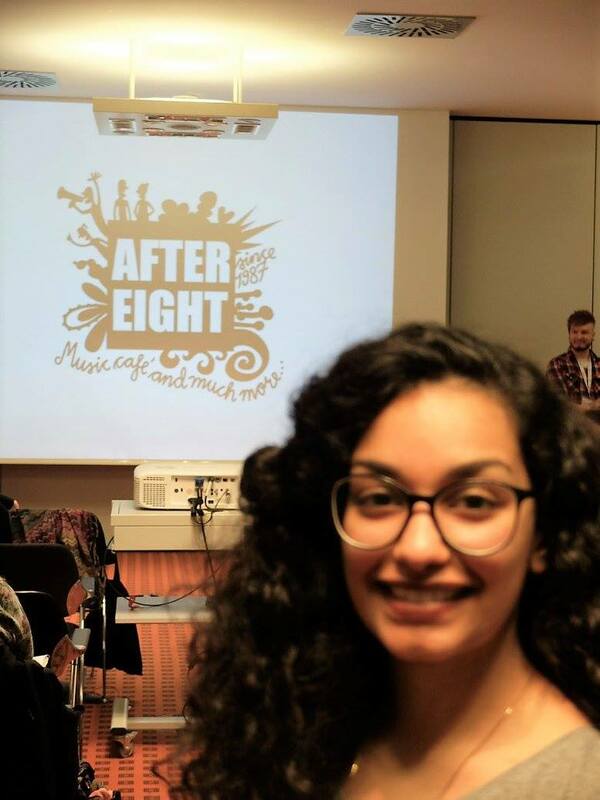 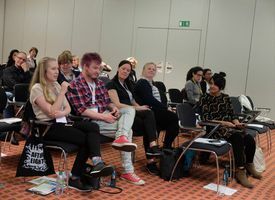 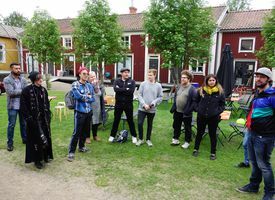 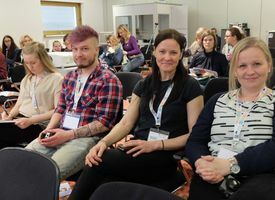 For example, the British group gathered by the Children’s Society has focused its work on ‘How does poverty affect education?’ while the Finnish youngsters accompanied by After Eight chose the specific issue of “mental poverty”. 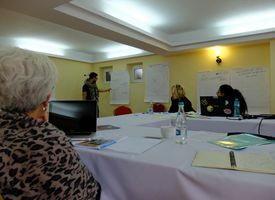 On this basis, work on the second phase of the project - 'Policy recommendations on tackling poverty' started. 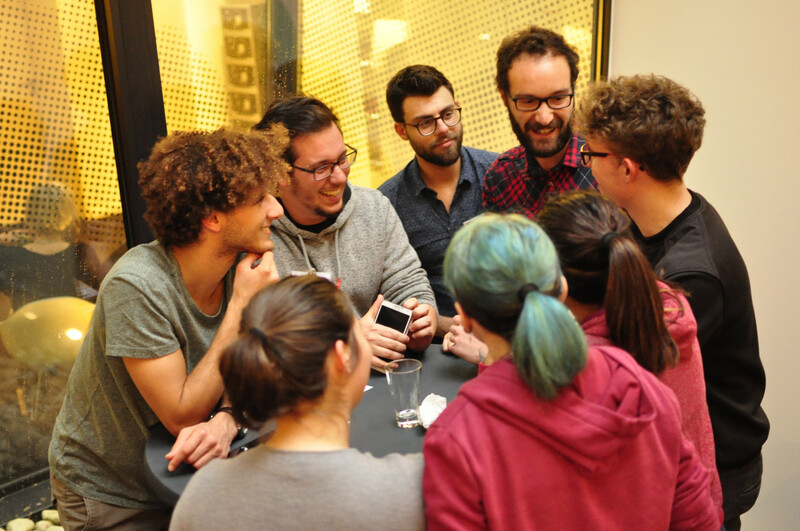 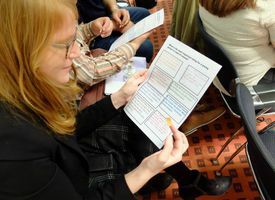 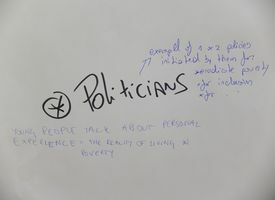 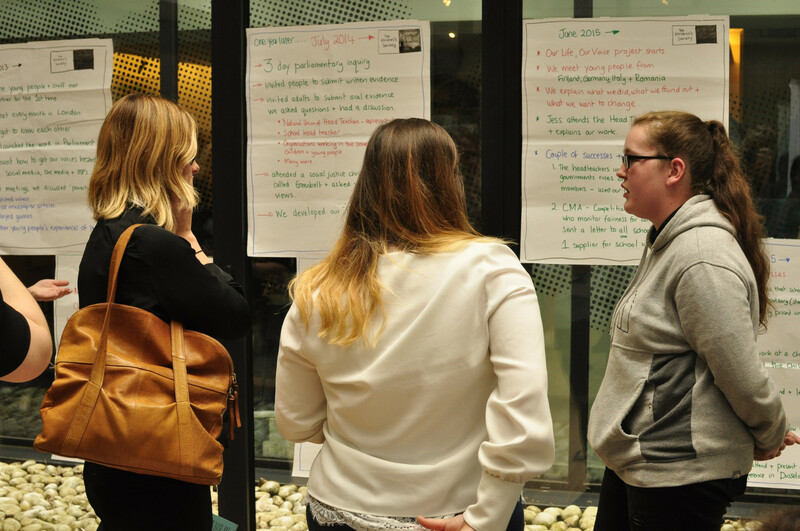 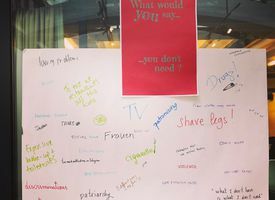 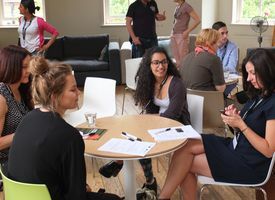 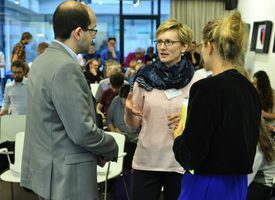 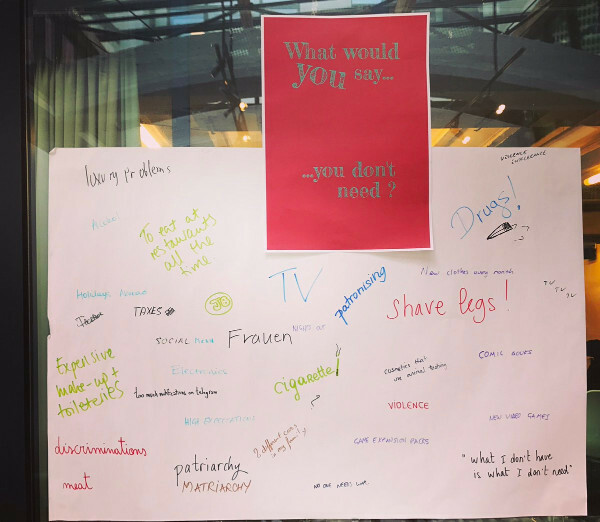 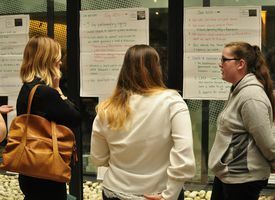 During a World Café, the young people debated about key messages to be presented to politicians and stakeholders both at national and European levels, and how to present them in an effective way. Finally, while the partner organisations themselves met for an important milestone in the management of the project, the youngsters learned more about Finnish education and its good practices. 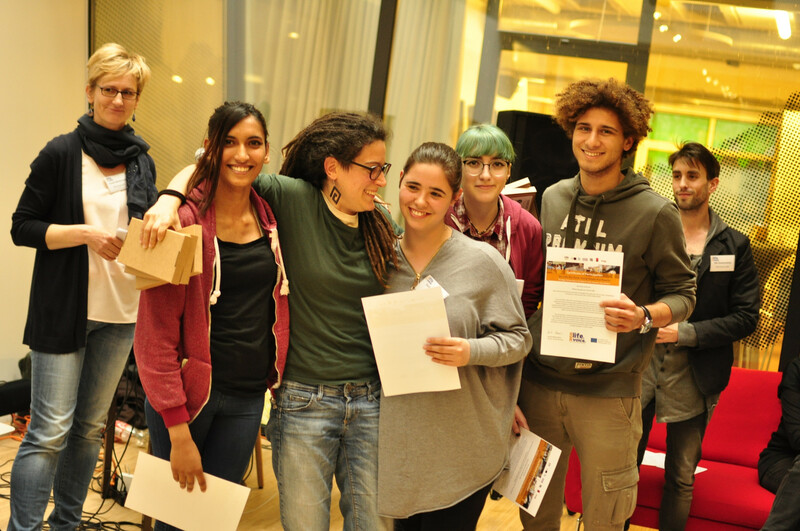 The young people will now keep working with the support of the project’s partners on the specific topic chosen. 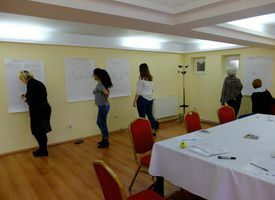 During the 2 days the project partners met to share the work done thus far with the young people, best practices, and discussed the next steps. 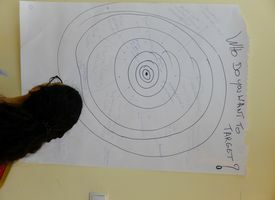 The first phase of the project, 'Investigation into poverty', is soon coming to an end with remarkable results. 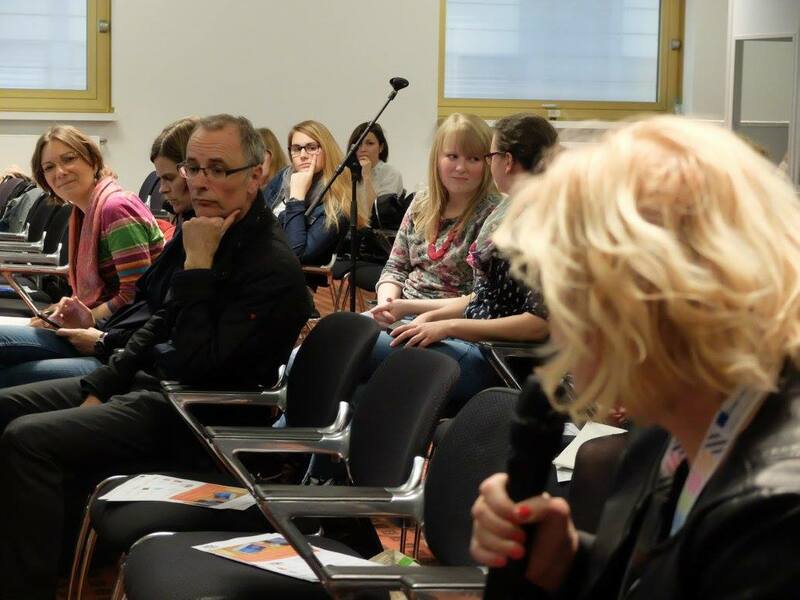 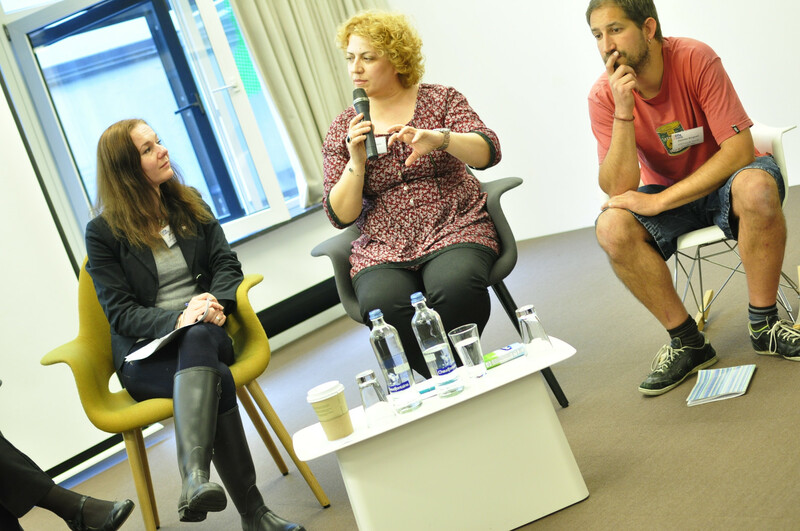 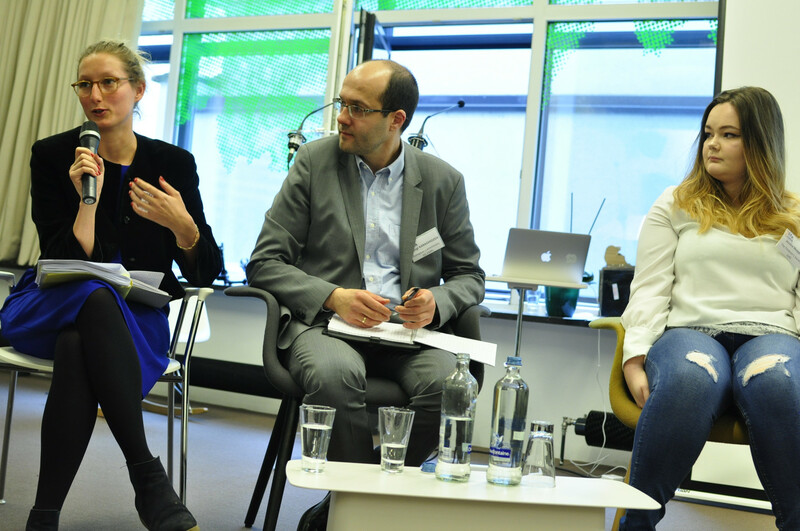 The participants discussed the differences in how the young people experience poverty in different EU member states. The output of this first phase of the project will be a booklet summarising their work, having as target audience public bodies dealing with young people’s affairs, policy makers and politicians at regional, national and EU level. 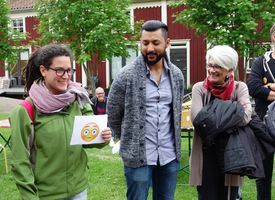 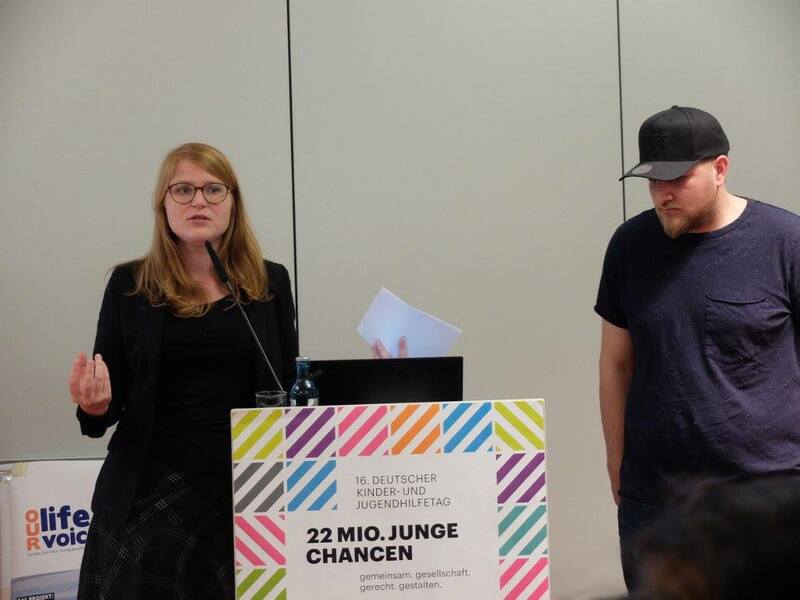 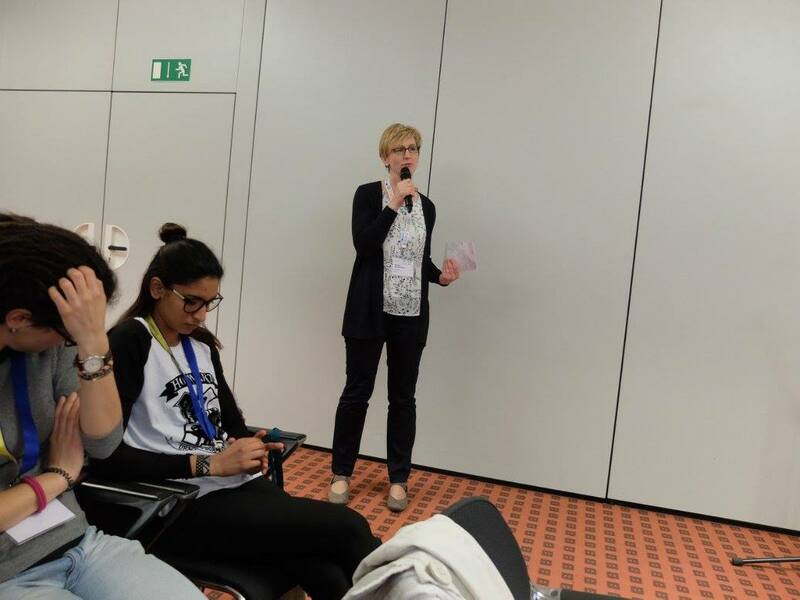 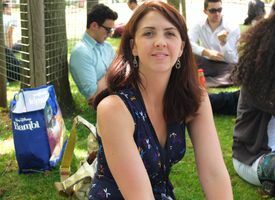 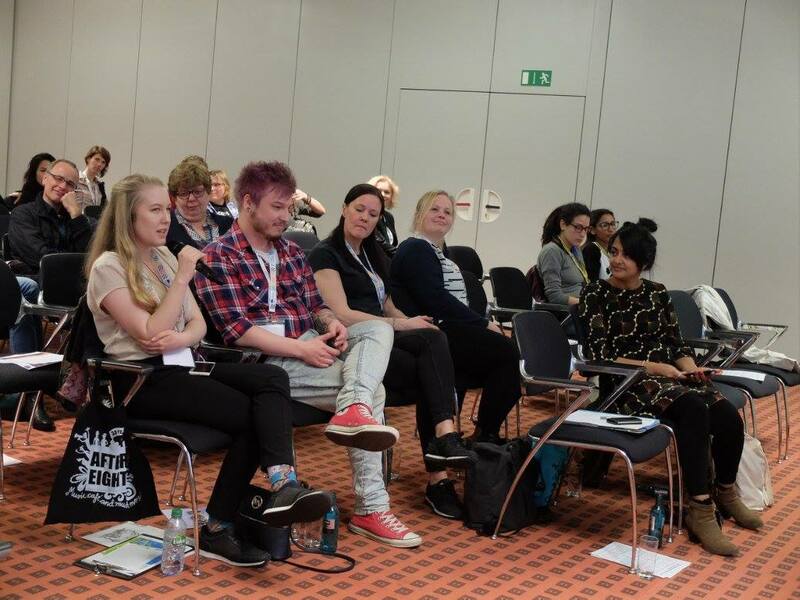 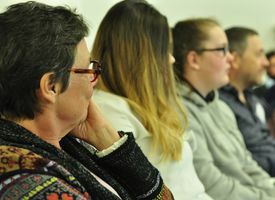 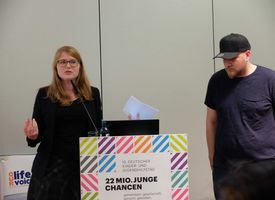 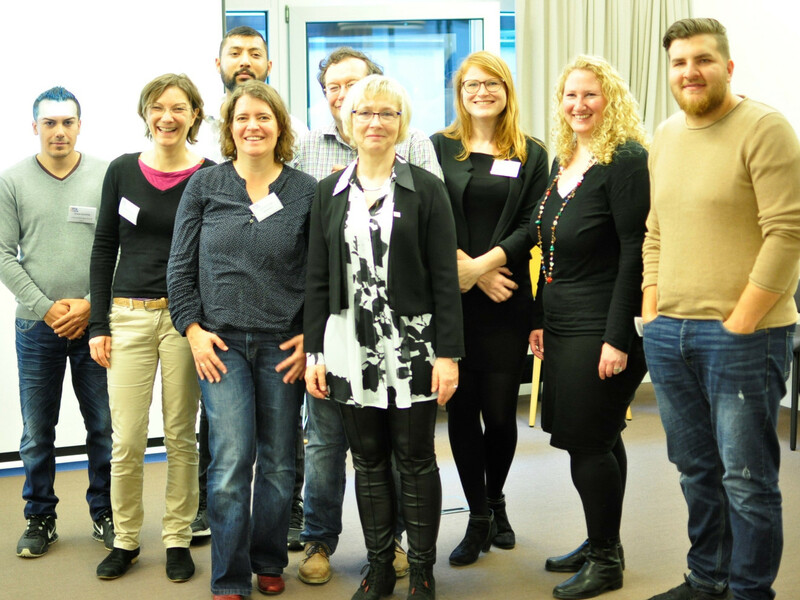 Furthermore, Ingrid Müller from the German Erasmus+ National Agency took part in the meeting and invited the partners to present the project at the DJHT Fair, where the young people themselves will be able to talk about their work.